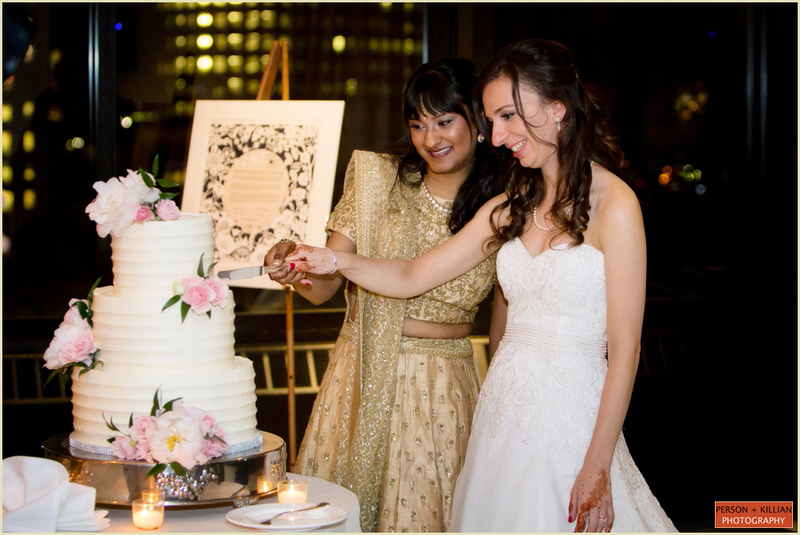 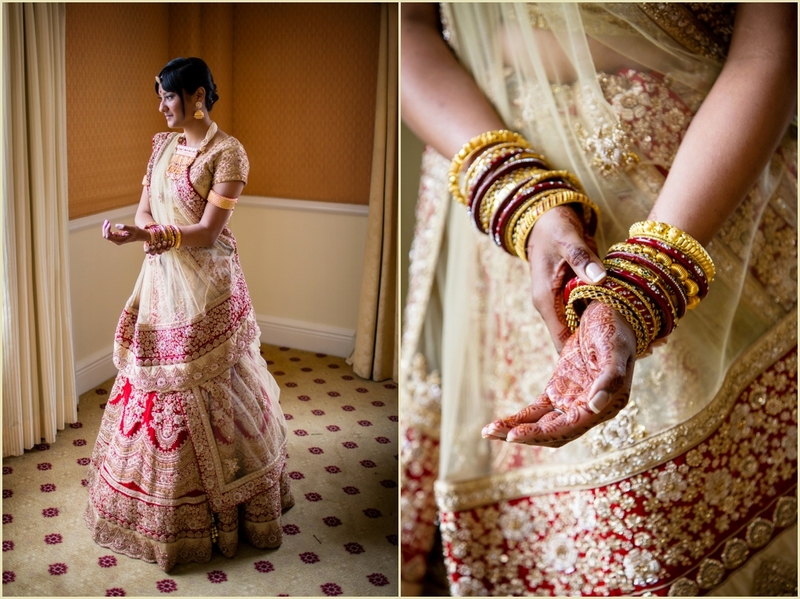 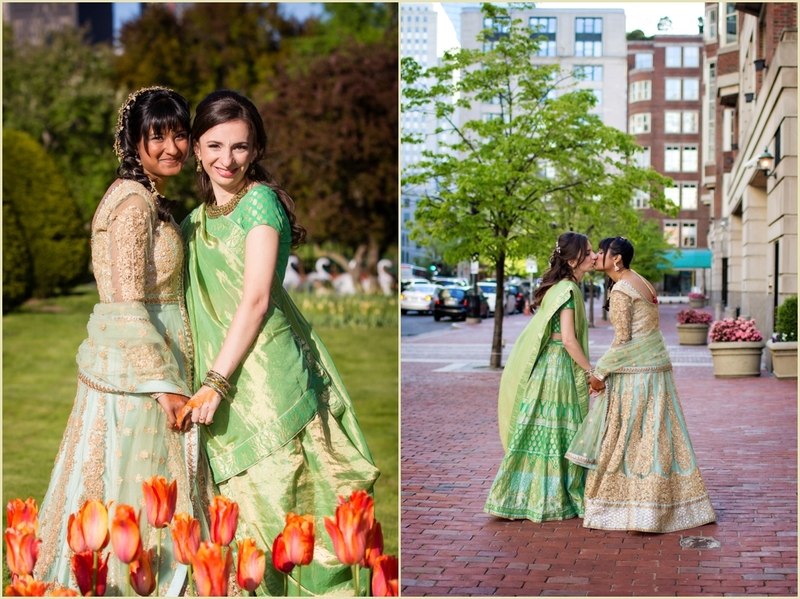 We love when couples are able to bring their own unique history, story, and traditions into the celebration of their wedding day, and this beautiful Taj Boston spring wedding was the perfect reflection of brides Channah and Shikha. 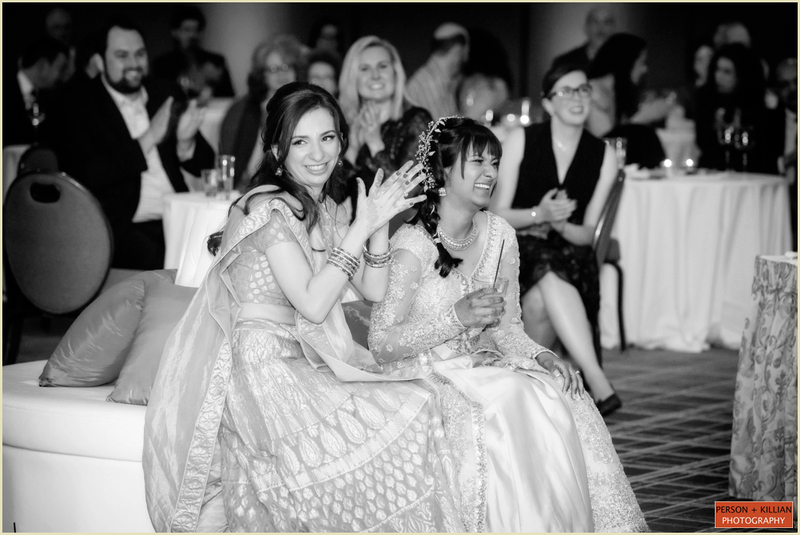 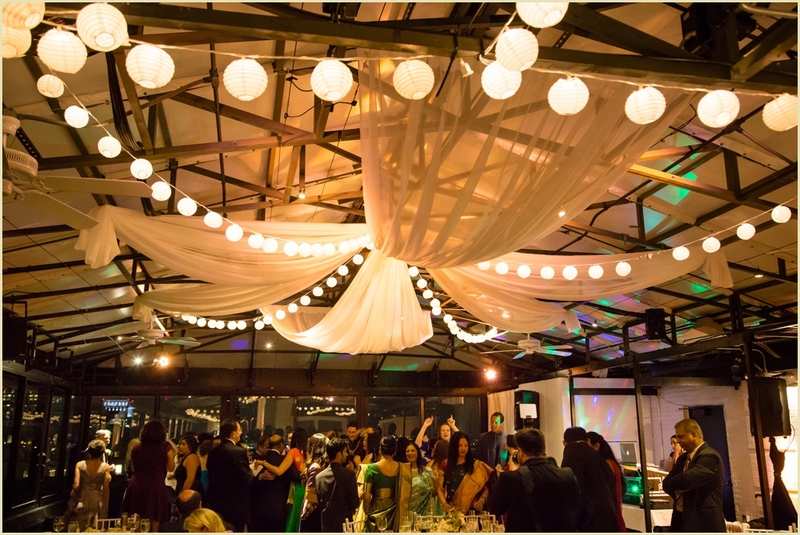 This two-day celebration was a unique mix between the couple’s heritage — Channah’s Jewish traditions and Shikha’s Hindu traditions made for a truly one-of-a-kind wedding weekend. 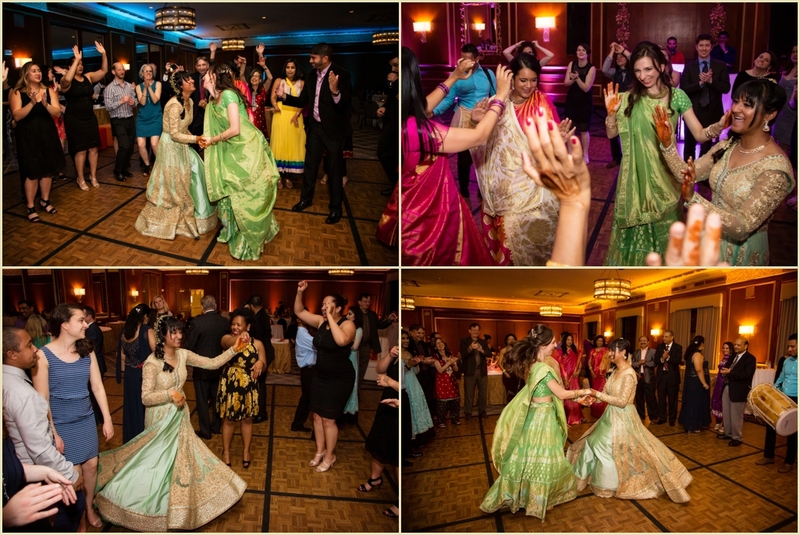 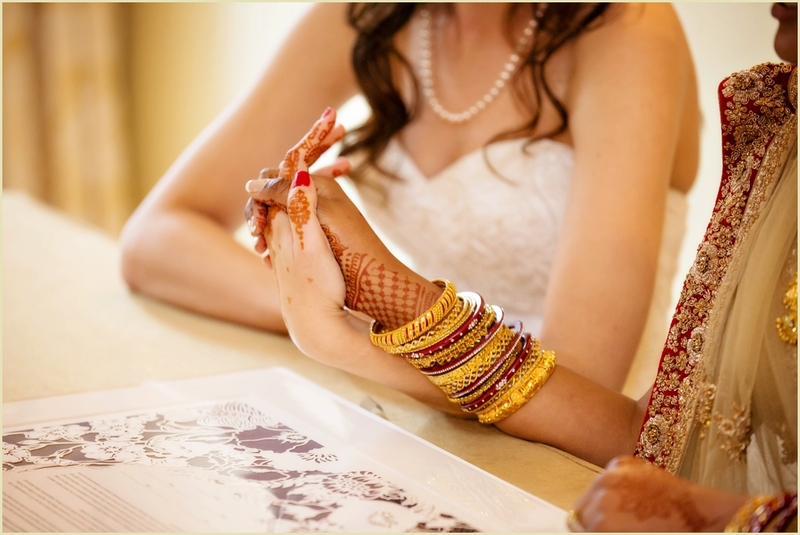 The events began on Friday with a Mehndi celebration and rehearsal dinner at the Park Plaza with toasts, dinner, and traditional Indian dancing from Shikha’s friends. 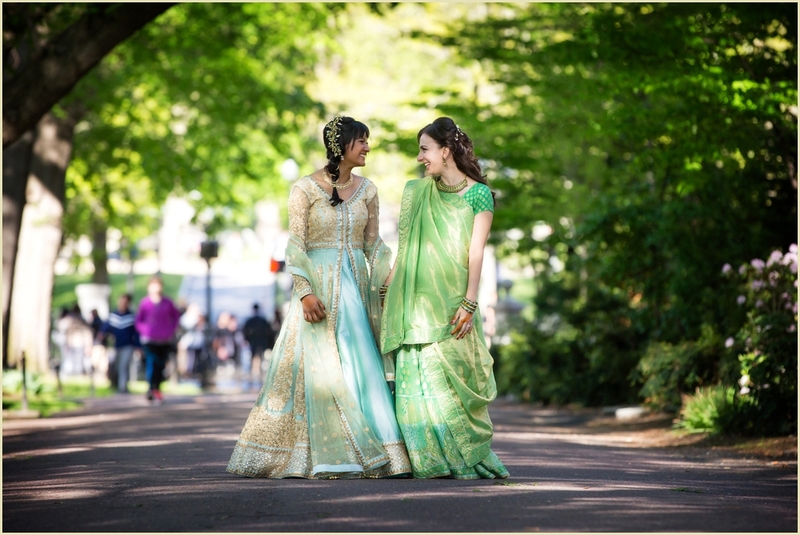 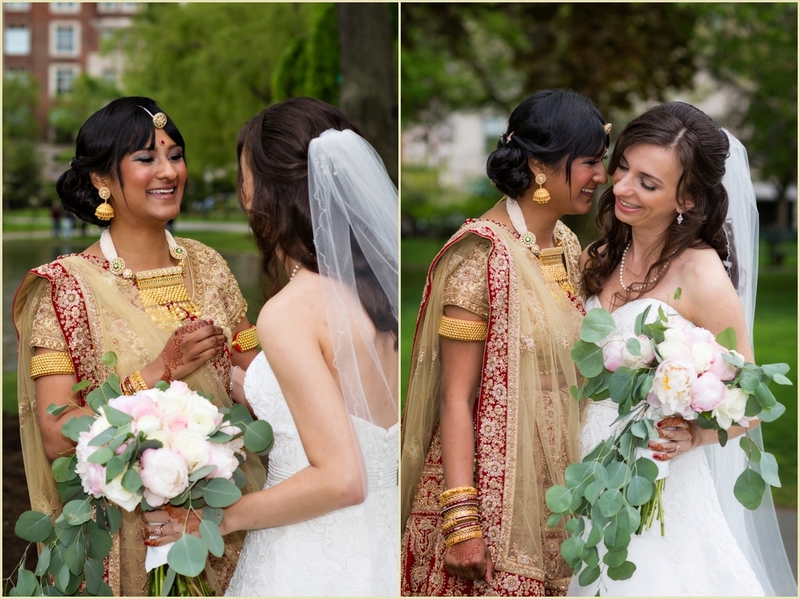 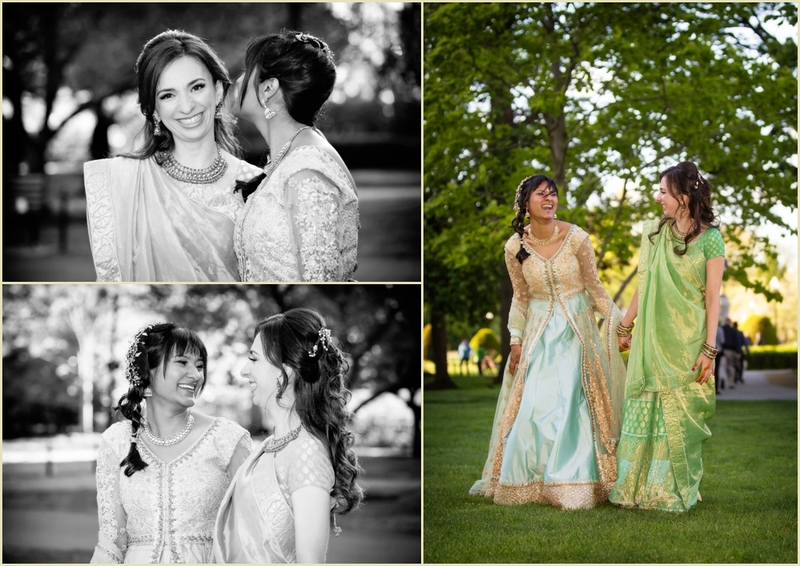 Both brides wore gorgeous green saris, which matched perfectly with the spring trees in the Public Garden where we took the couple for photos before the party. 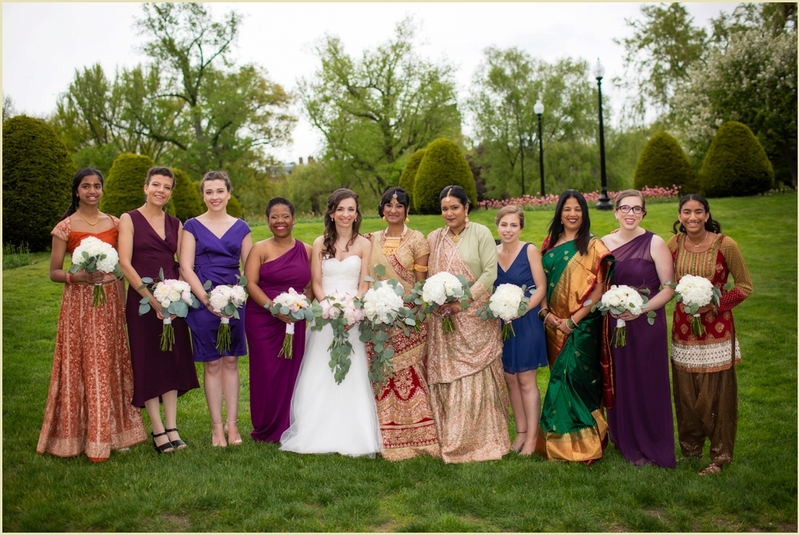 Saturday’s wedding day was held at the Taj Boston Rooftop, and began with the couple’s first look in the Boston Public Garden surrounded by friends and family. 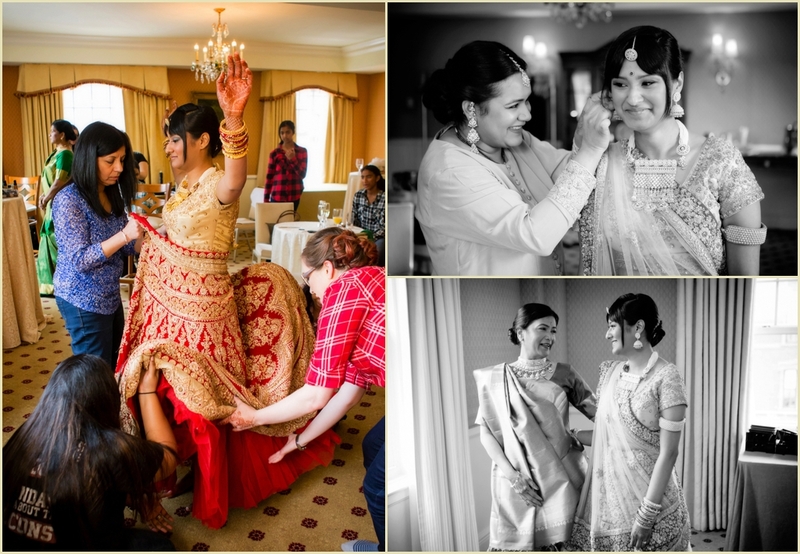 Channah wore a beautiful white wedding gown while Shikha wore a traditional ornate red and gold sari. 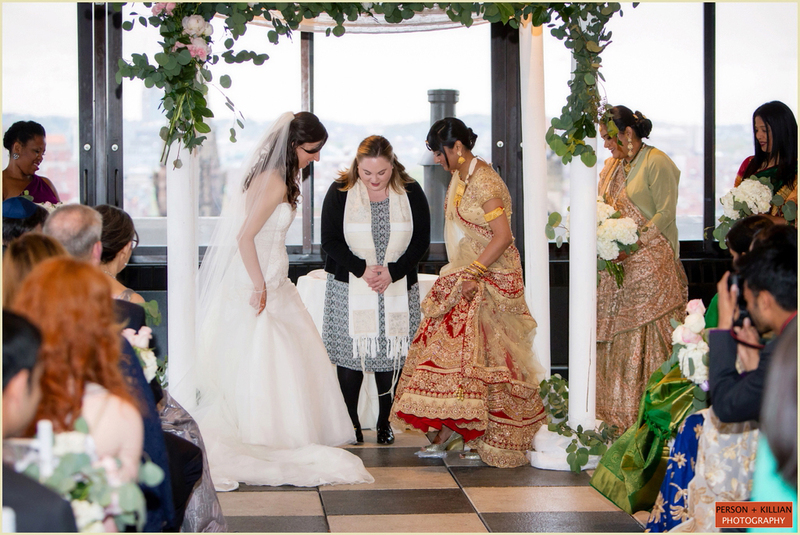 The day’s events featured both Hindu and Jewish traditions, with a ketubah signing, a chuppa, and both Jewish and Hindu prayers during the wedding ceremony on the Rooftop. 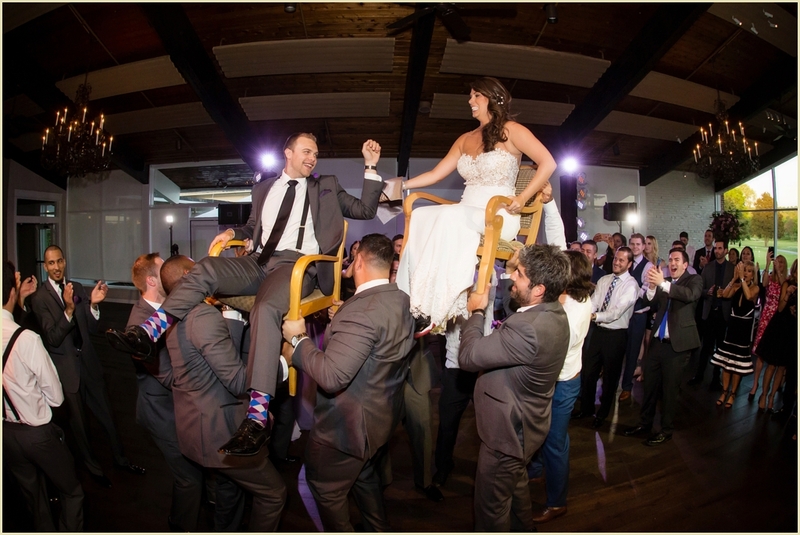 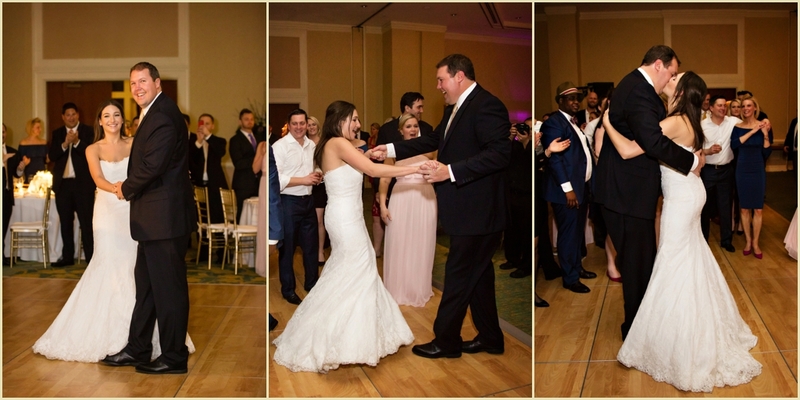 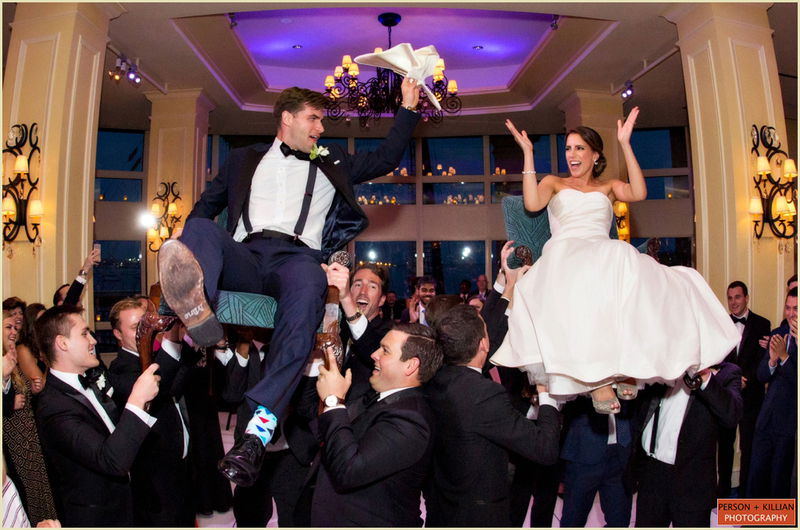 Guests enjoyed cocktails, dinner, and traditional Indian and Jewish dancing as they celebrated this wonderful couple on their very special wedding day! 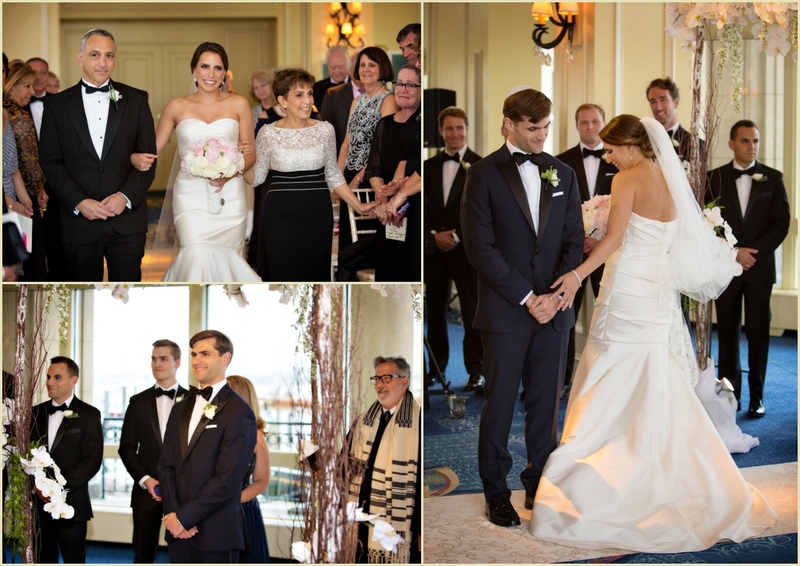 From the couple: We are so glad to celebrate with our family and friends! 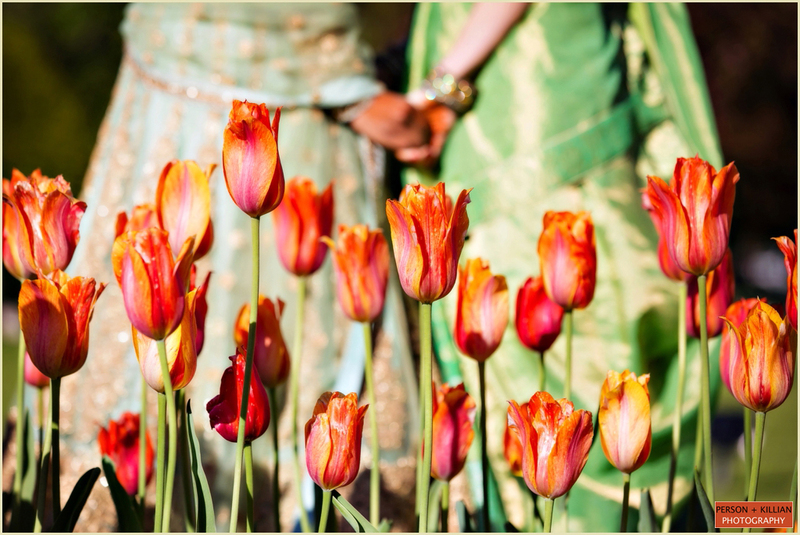 We hope for a wedding day full of spring colors, blushes, ivories, sage greens – that celebrates both of our cultures and religions. 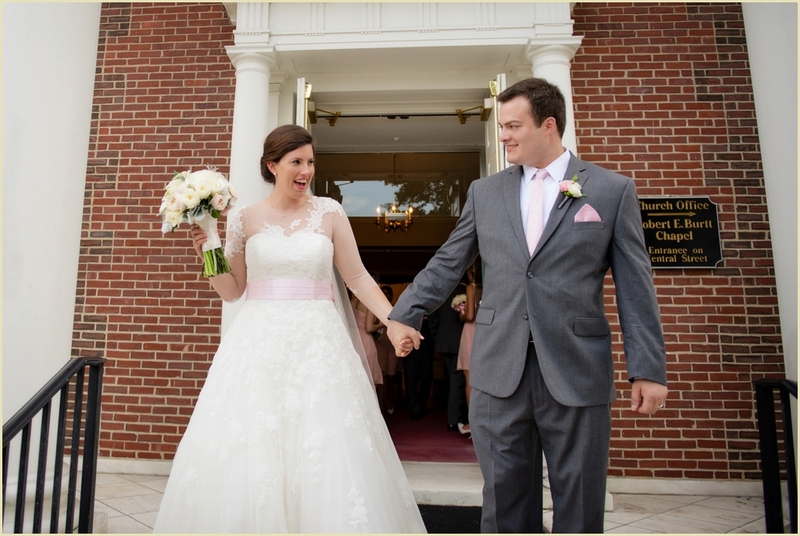 We have been together for 6 years and are overjoyed to be making it official! 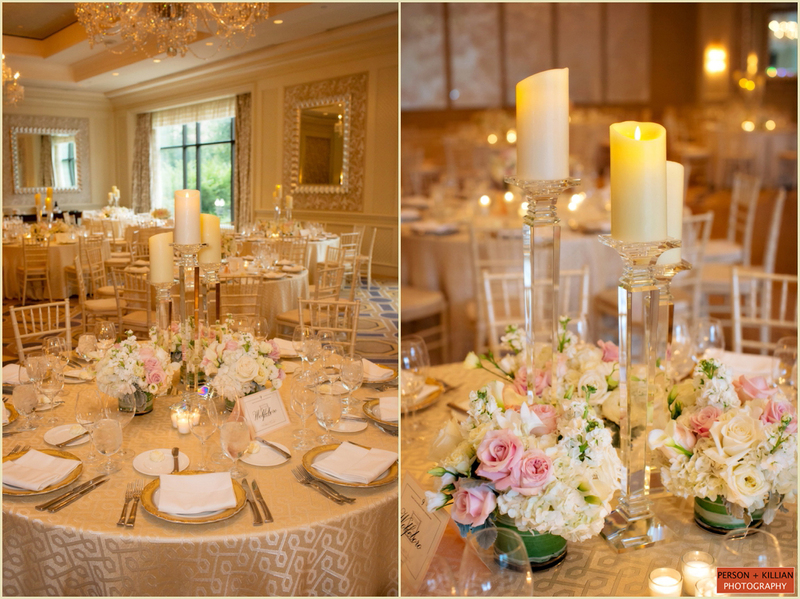 Congratulations to this beautiful couple, and thank you for letting us be a part of your extraordinary Taj Boston Spring wedding. 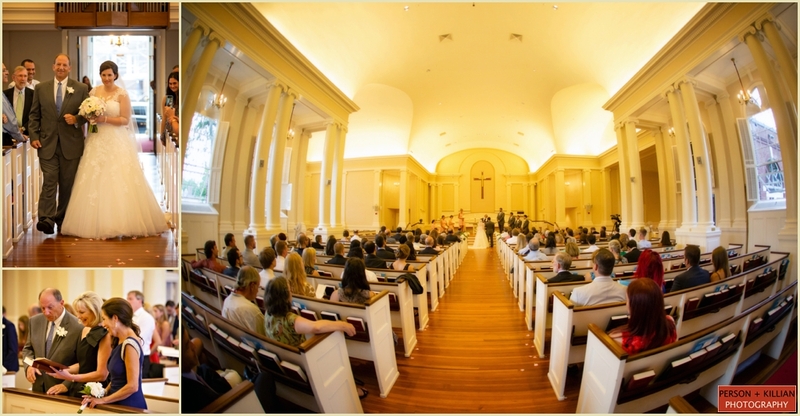 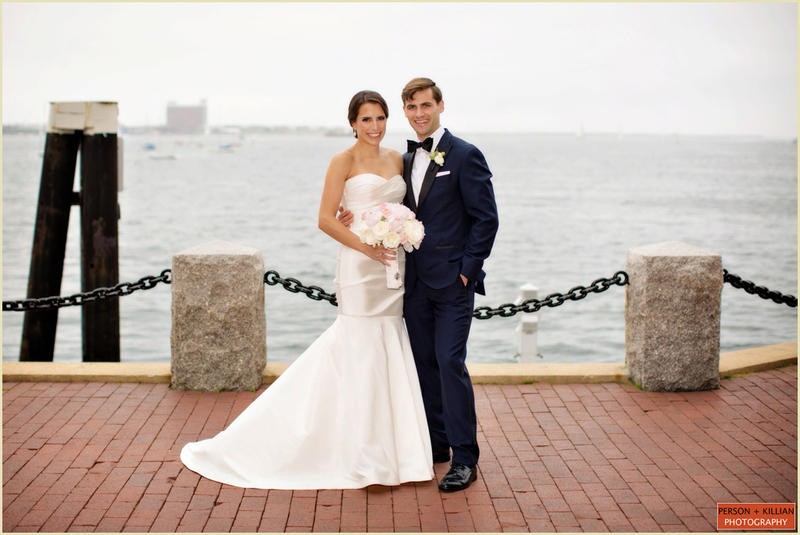 Southern New England Weddings magazine is an annual wedding magazine that provides inspiration for those looking to wed anywhere in Southern New England including: Rhode Island and Newport, Boston, Cape Cod, Nantucket and Martha’s Vineyard, Coastal Connecticut and Eastern Massachusetts. 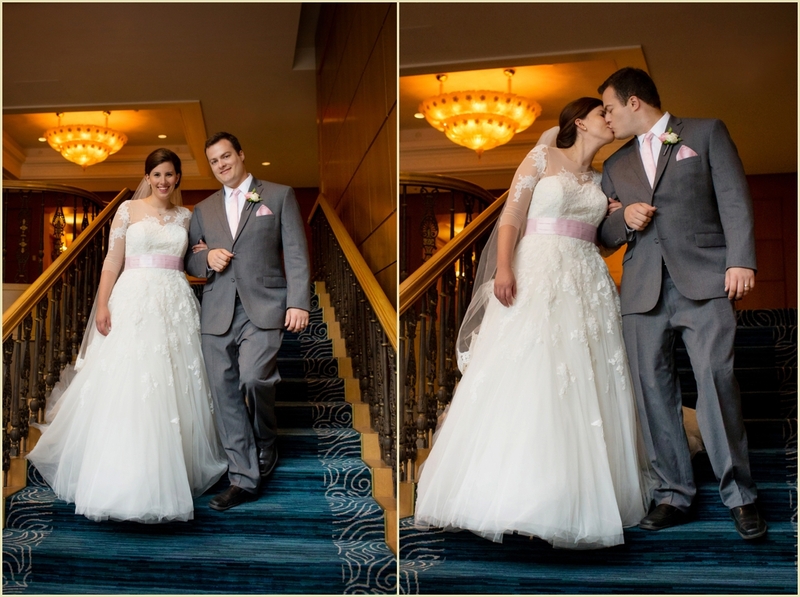 We are delighted to see the real wedding of Simin and Nick in their most recent issue. 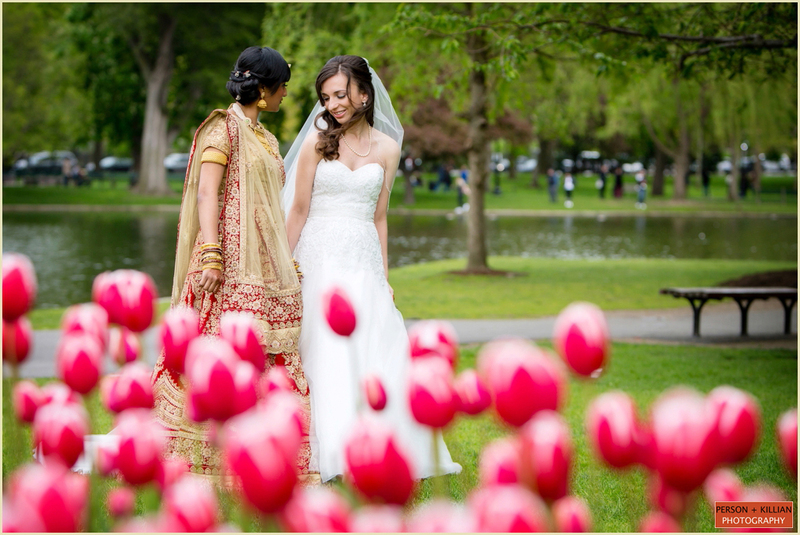 Simin & Nick – Milton, MA – by Stacey Marcus: When Simin Lee and Nicholas (Nick) Bodnar tied the knot in a beautiful backyard ceremony and reception at the bride’s parents’ home in Milton, Massachusetts, guests enjoyed the flavors of the couple’s Persian and Jewish heritages sprinkled with the sweetness of pure love. 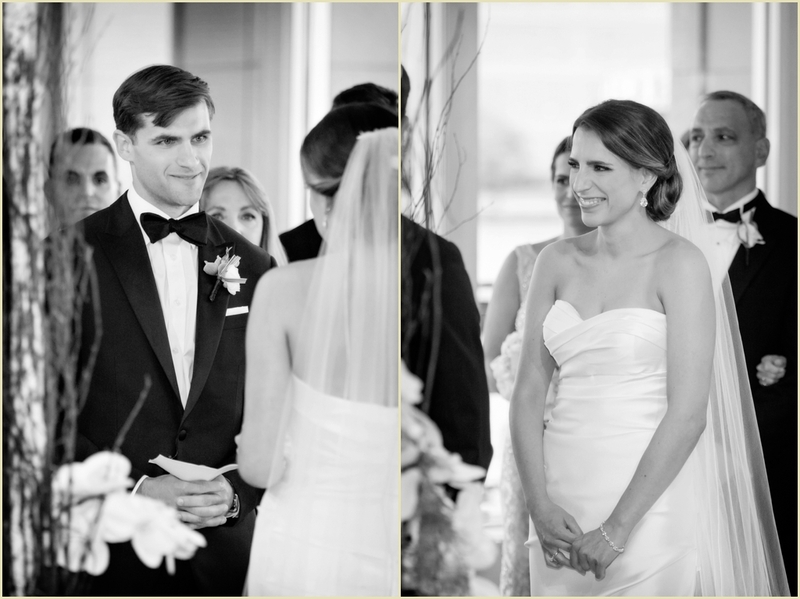 The couple originally met in Beijing at a Chinese immersion program in 2008 while undergraduate students at Harvard University. 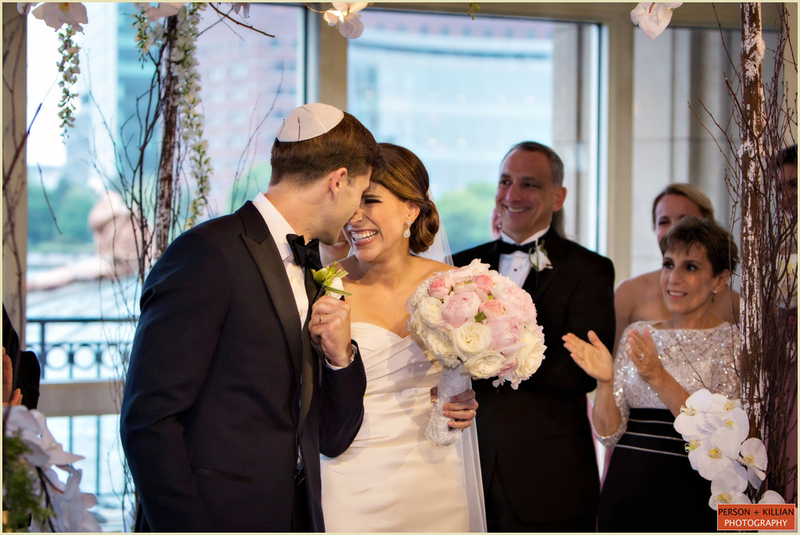 It wasn’t until they were both graduate students at Harvard Medical School that their love blossomed. 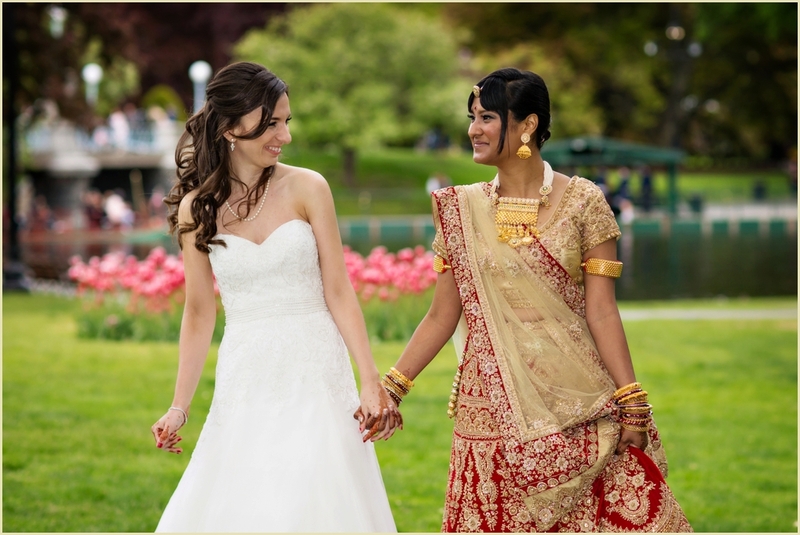 “It was a nice time to start a relationship,” says Simin, who recalls studying for 12 hours straight an then cooking together or enjoying take-out. 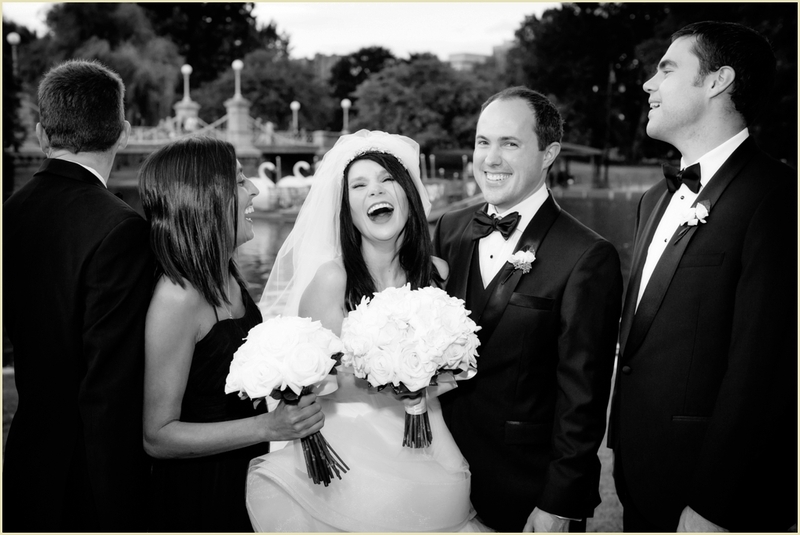 The couple delighted in an inside joke about enchanting chocolate shop in Cambridge called L.A. Burdick Chocolates where girls huddle to drink hot chocolates and couples canoodle and share a little slice of romance. 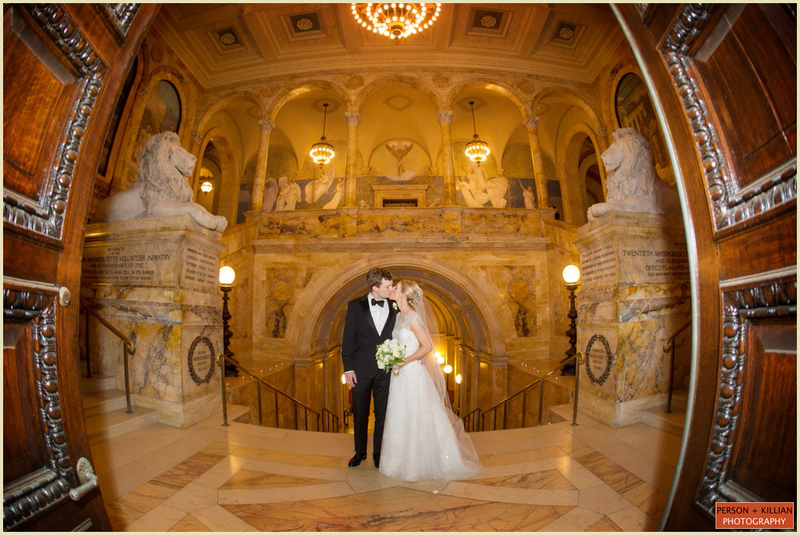 Simin and Nick said that they were not yet on “Burdick’s level” and never made it to the chocolate until Nick suggested they visit on a snowy night during the historic 2014 wicked winter. 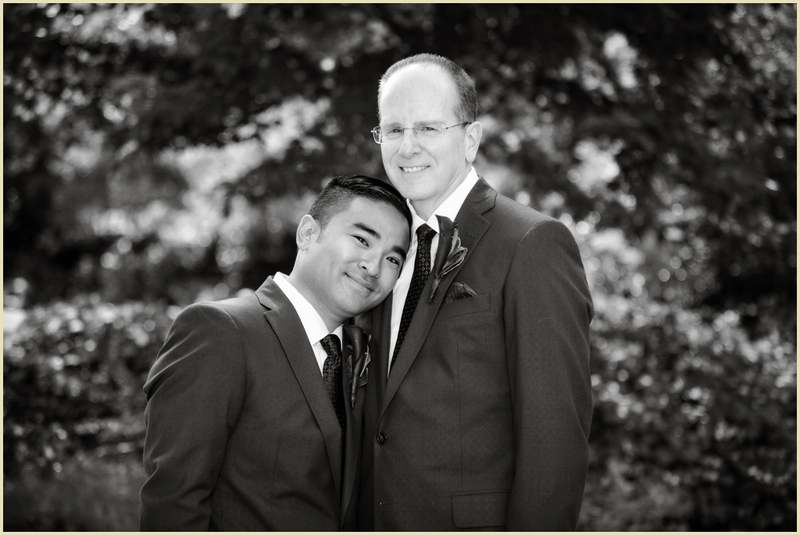 “It was a very sweet surprise when Nick dropped to one knee and proposed,” says Simin. 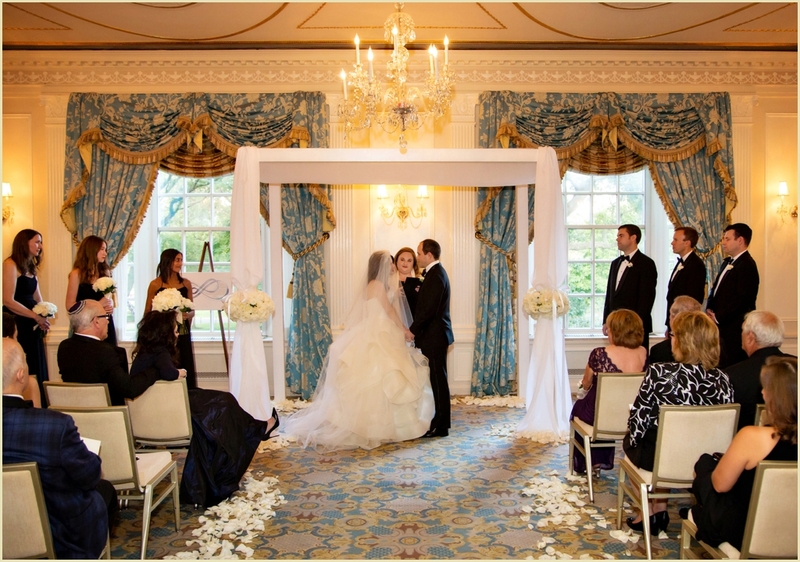 Family played a major role in the ceremony with a trio of officiants: Dr. Andrew Bodnar, father of the groom, and Fereydoun Nazem and William Lee, uncles of the bride. 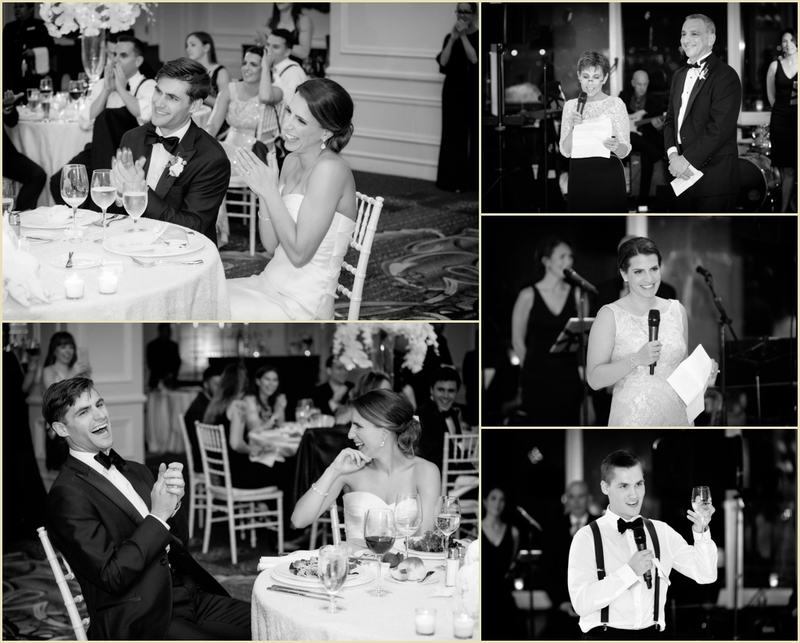 Simin’s father, Dr. Thomas Lee, gave a toast about how the couple’s sweet story illuminates the power of destiny. 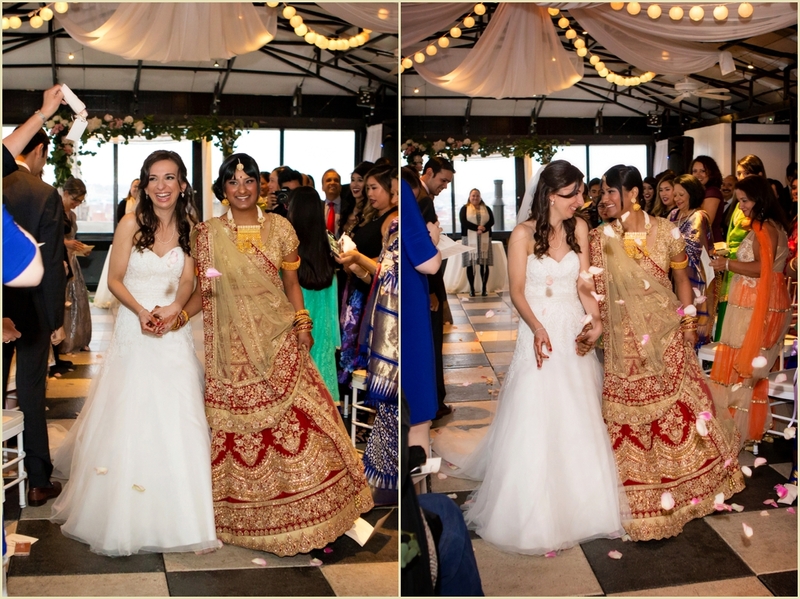 The breaking of the glass was particularly significant to Simin and Nick, who come from different cultural backgrounds and broke barriers to create a union of love, peace and understanding. 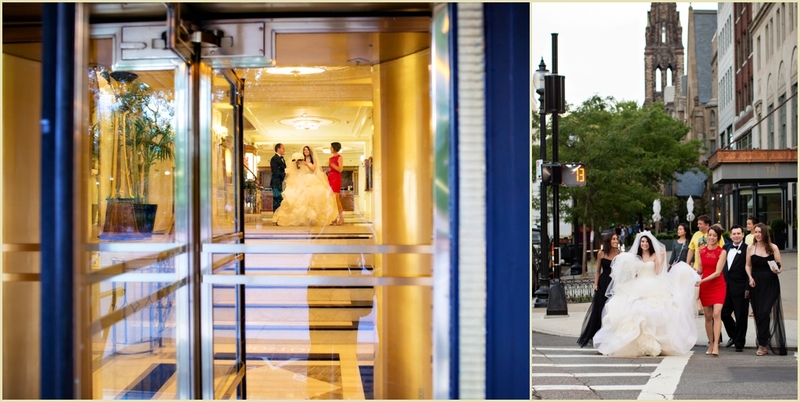 Southern New England Weddings magazine Real Wedding feature of Simin and Nick with Simeral & Co.
It’s no secret that we love the city of Boston, and of our many favorite places to capture a wedding, the Taj Boston offers a blend of grand luxury and timeless style. 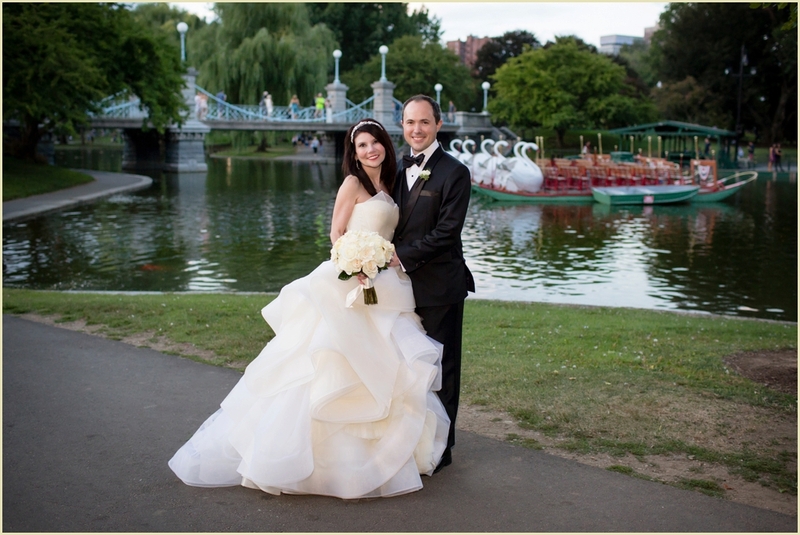 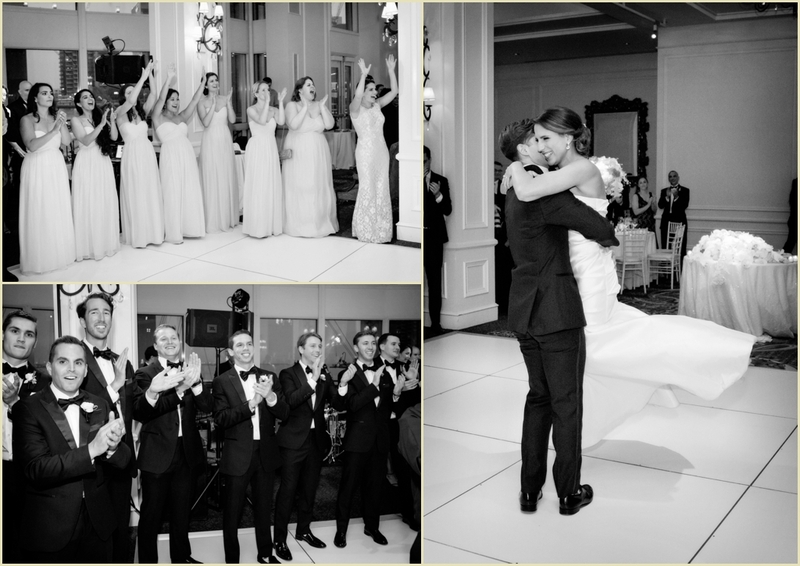 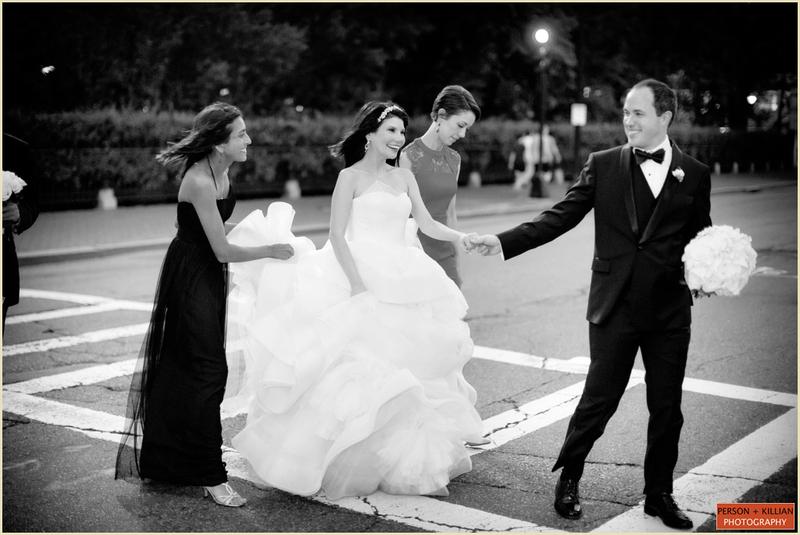 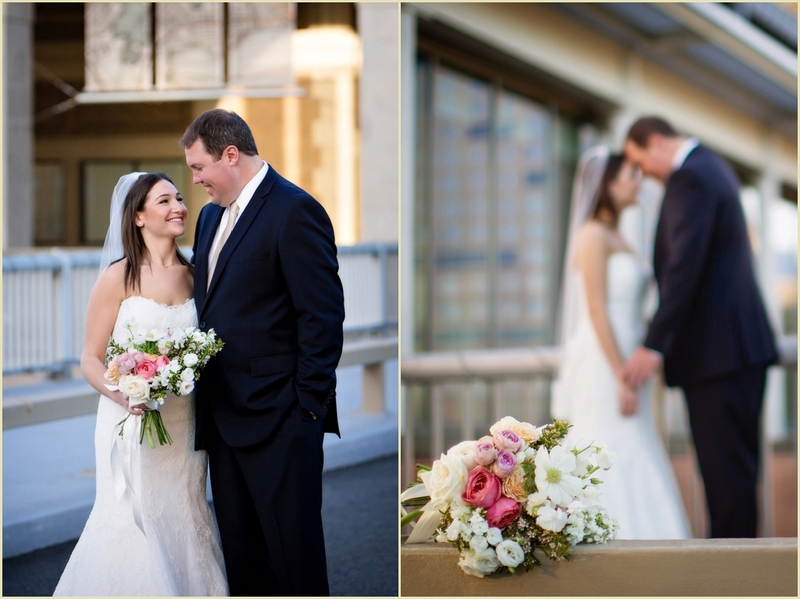 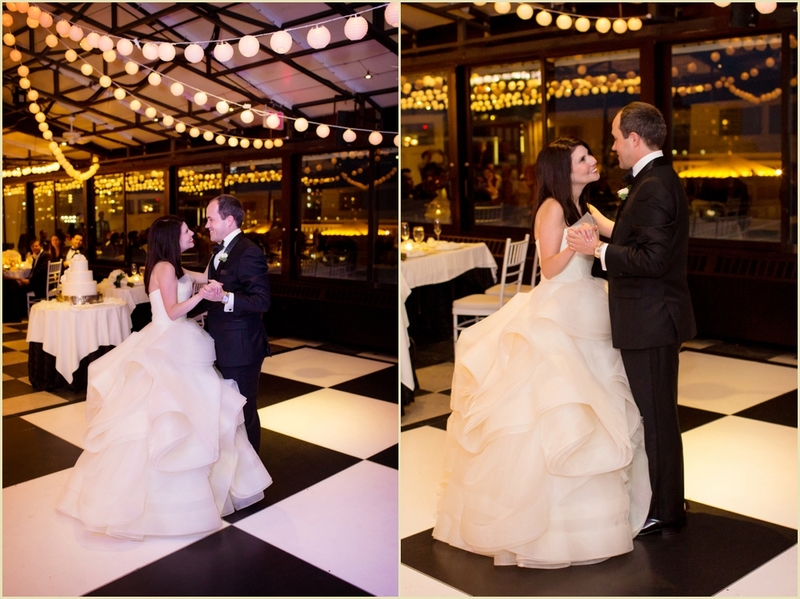 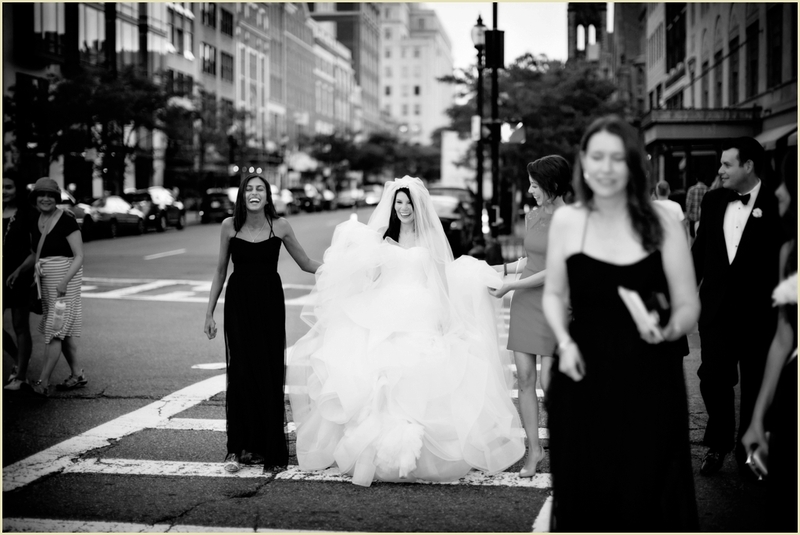 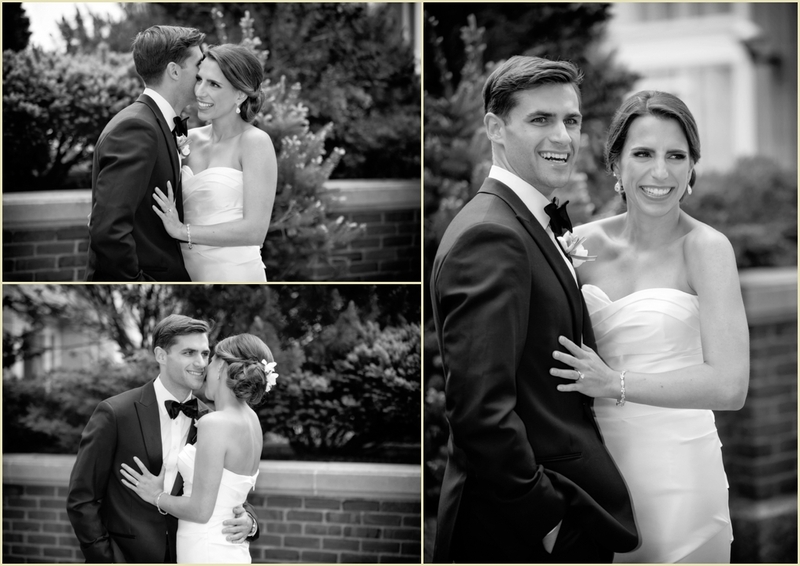 It’s easy to see why Tara and Steve chose the city they love (and the Taj Boston) for their elegant black tie wedding! 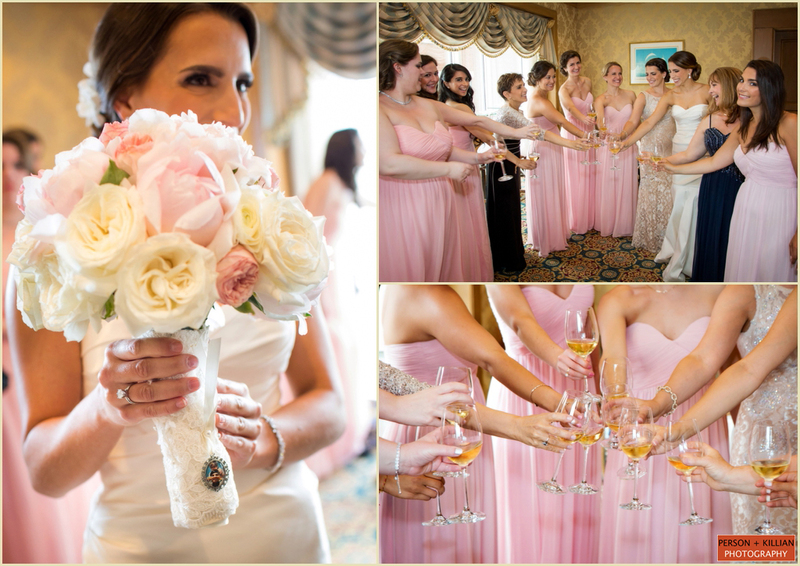 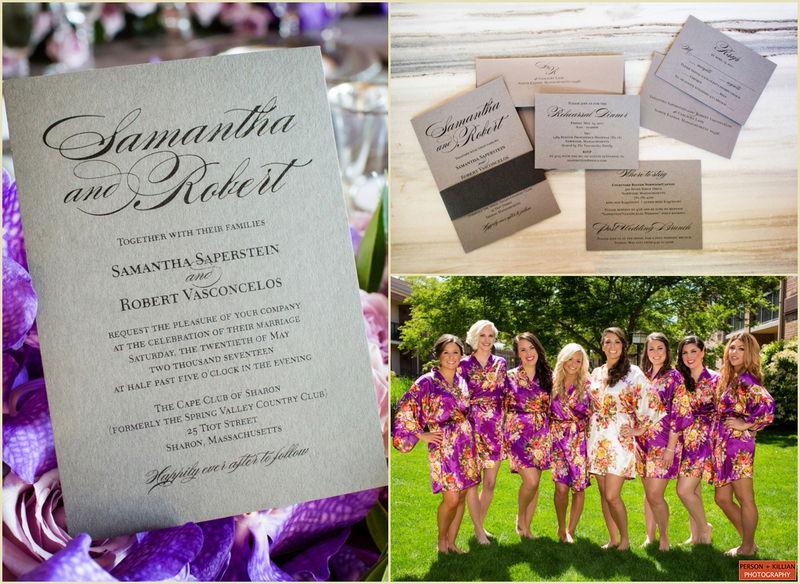 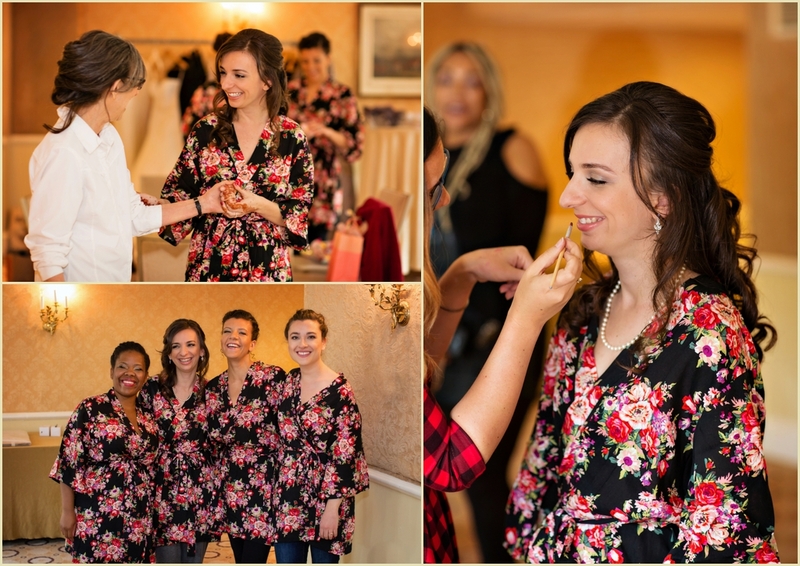 Starting on a lovely August day, this wedding began with the ladies gathered together in the bridal suite. 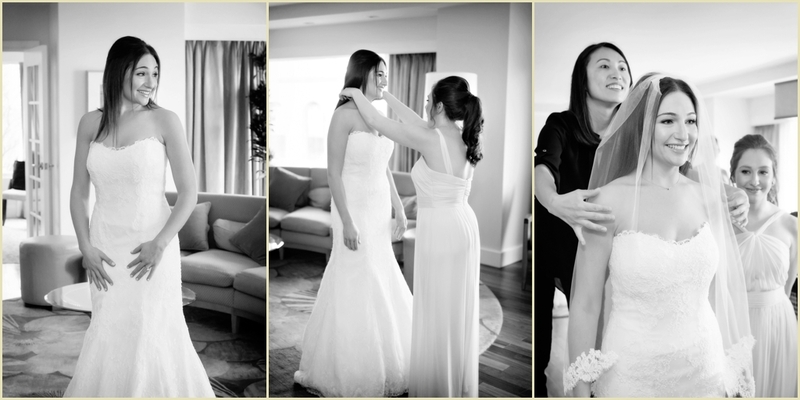 Tara enjoyed some light-hearted fun together as they prepped for the day ahead. 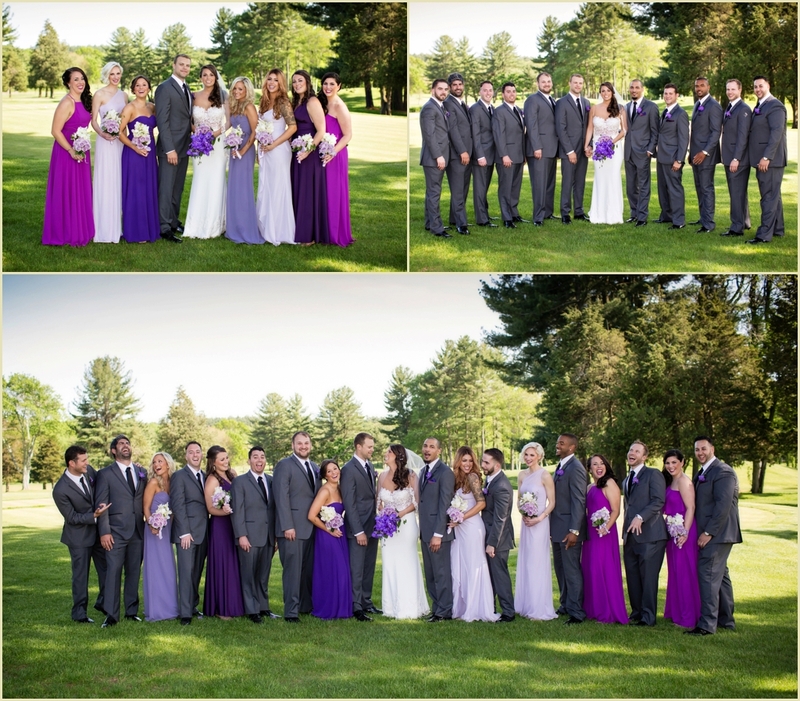 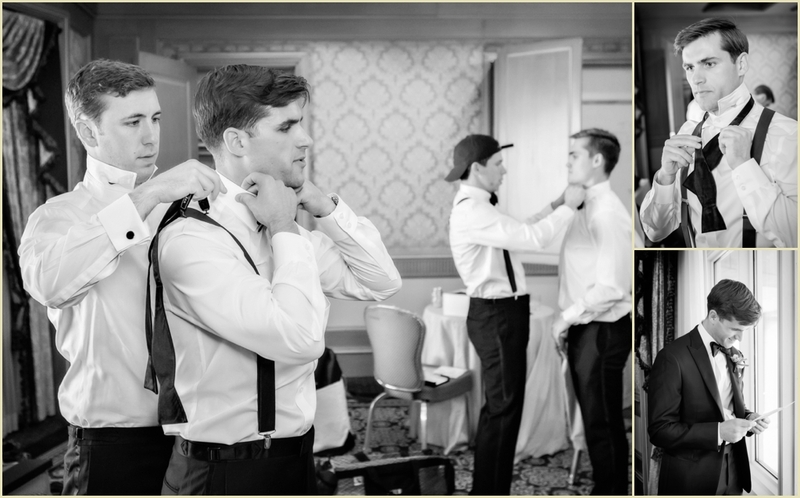 The bridesmaids dressed in floor length gowns while the gentlemen looked sharp in a classic tuxedo. 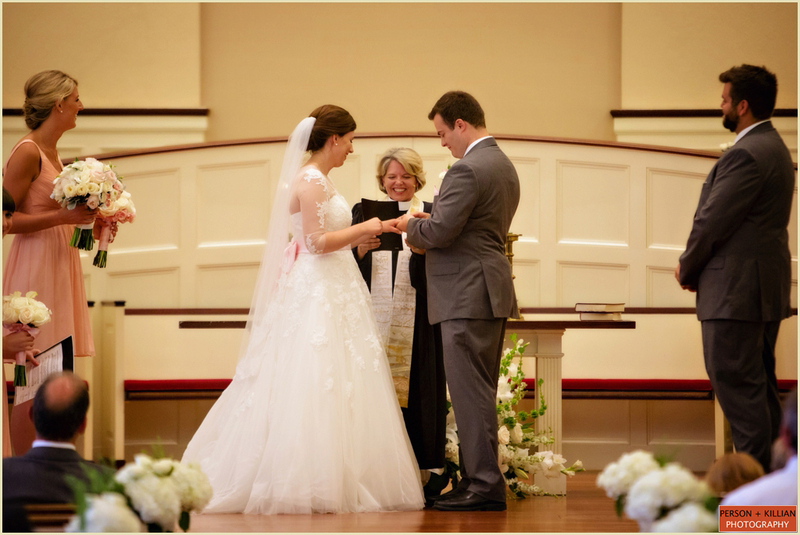 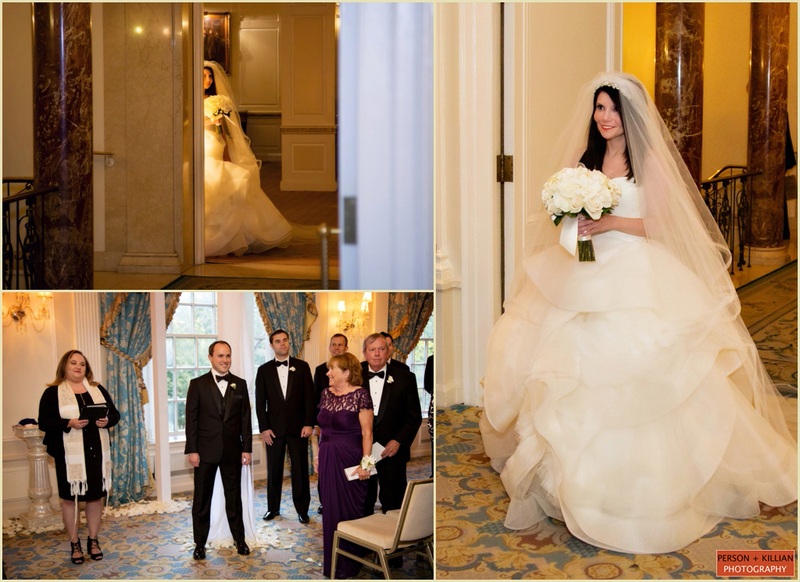 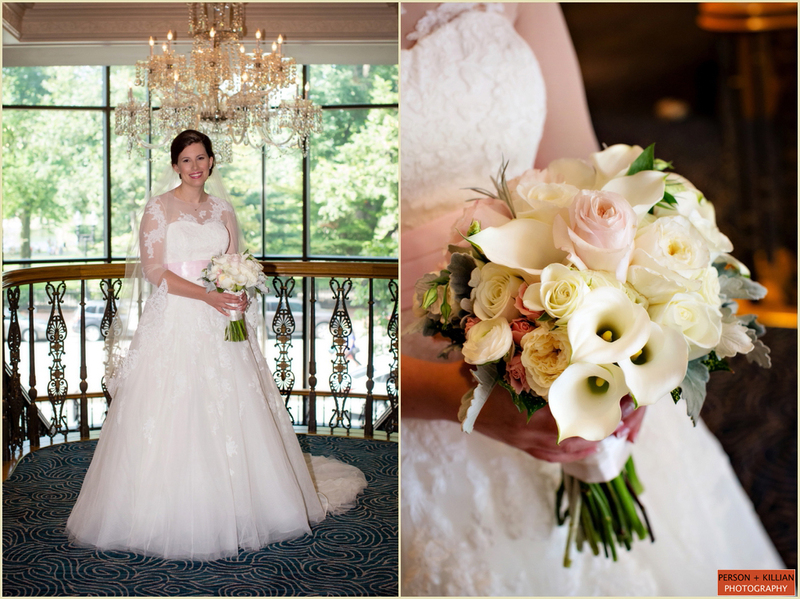 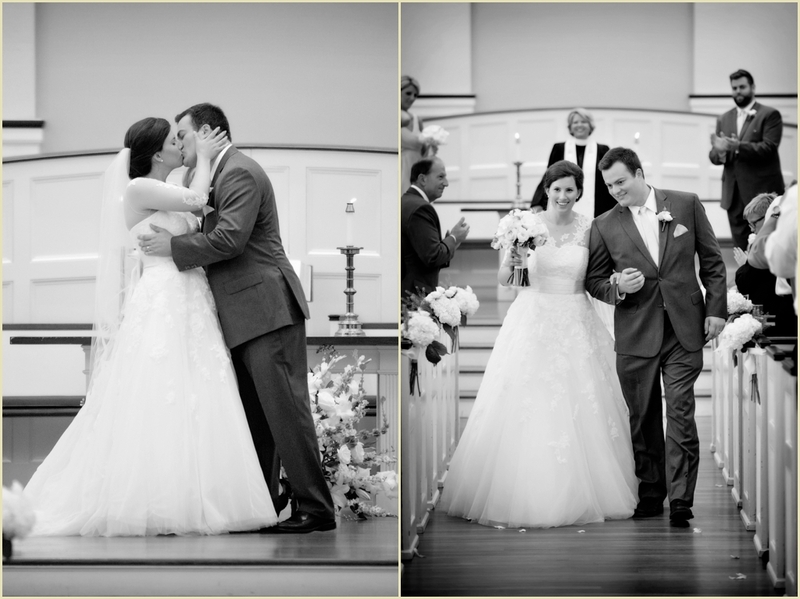 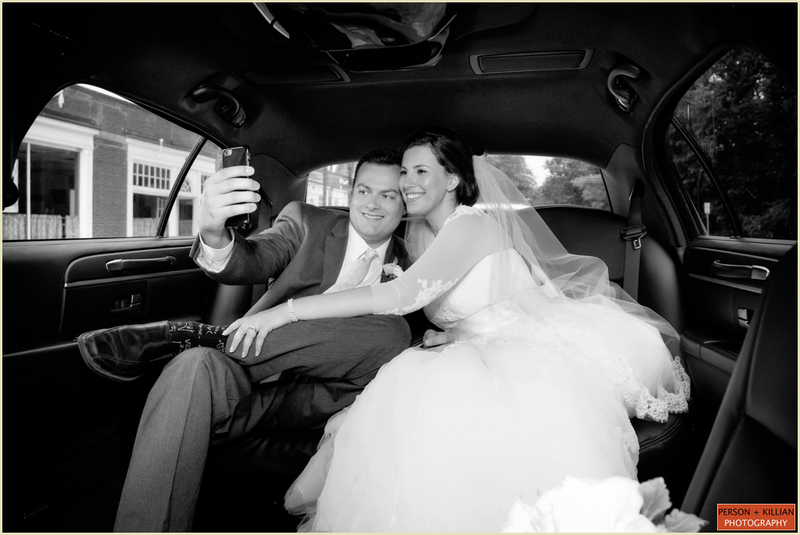 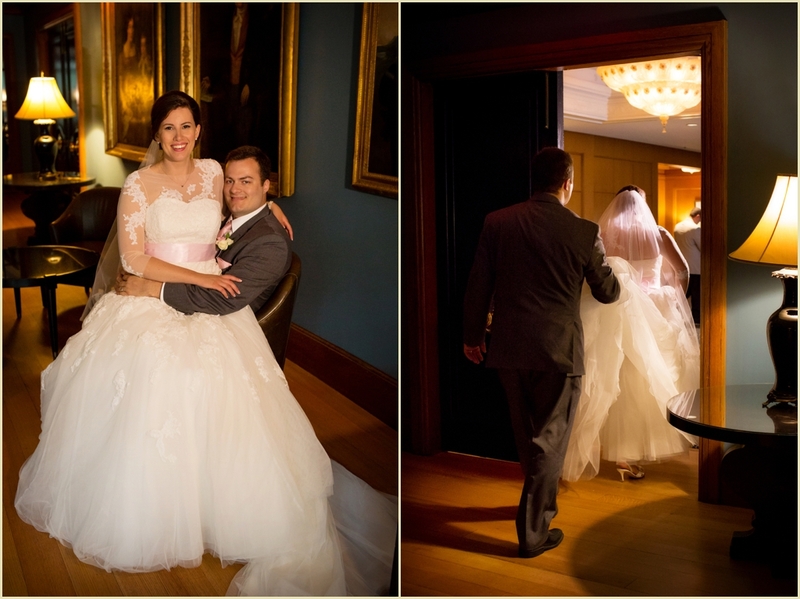 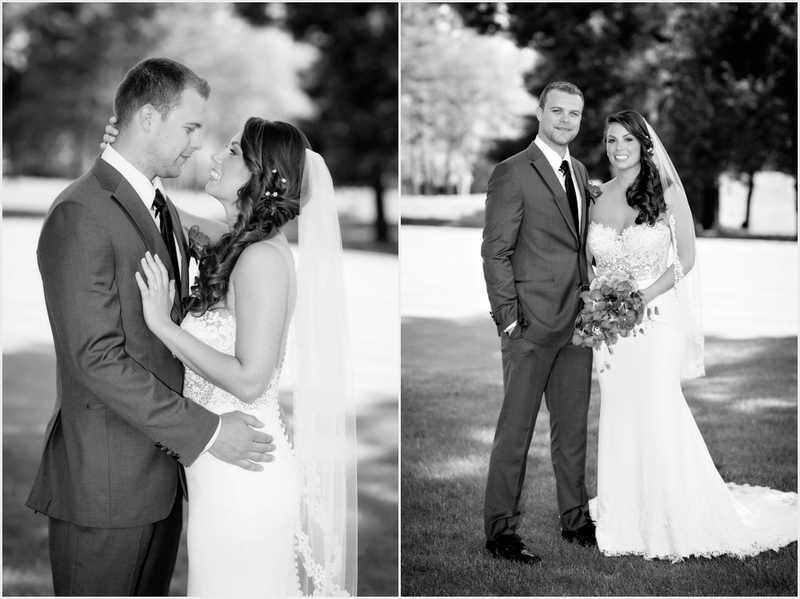 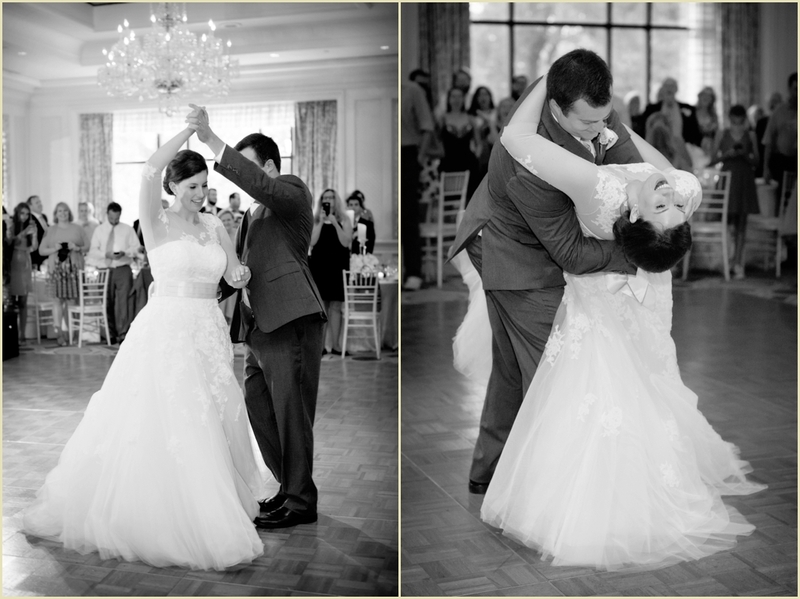 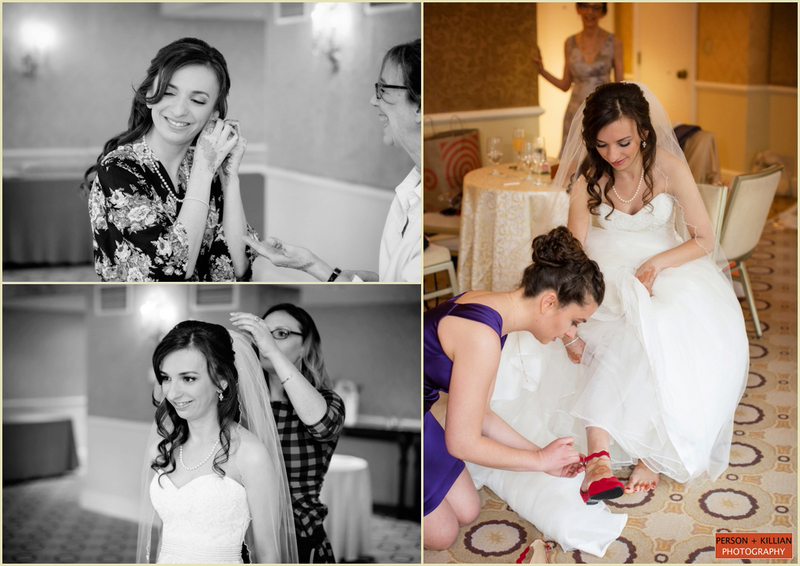 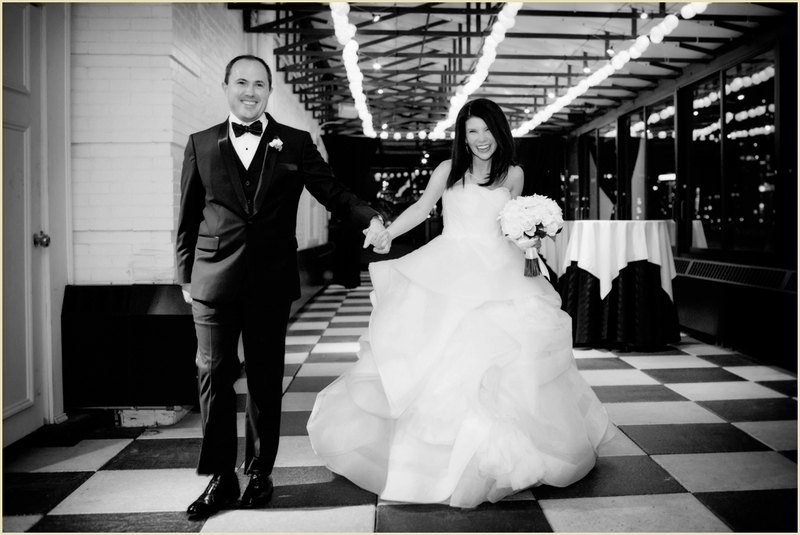 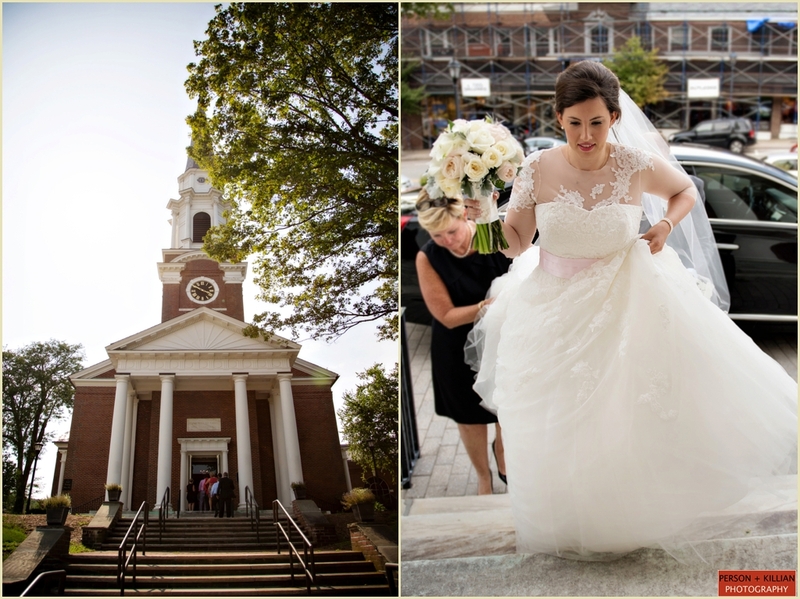 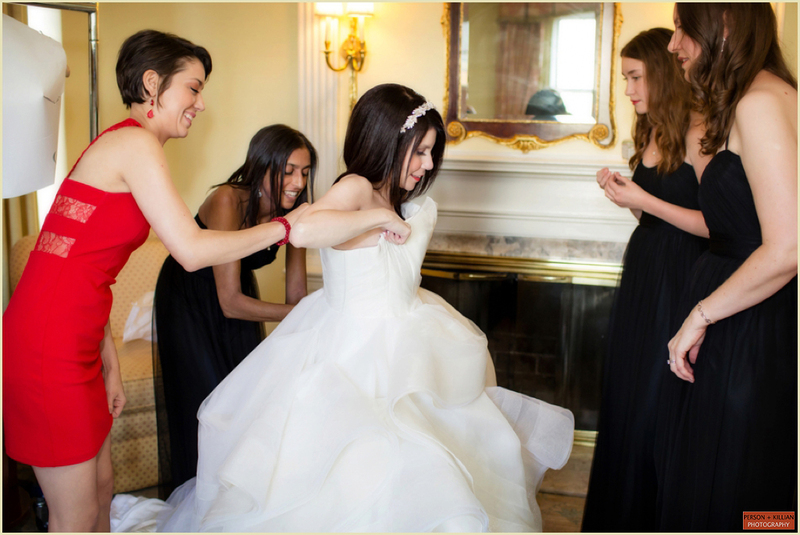 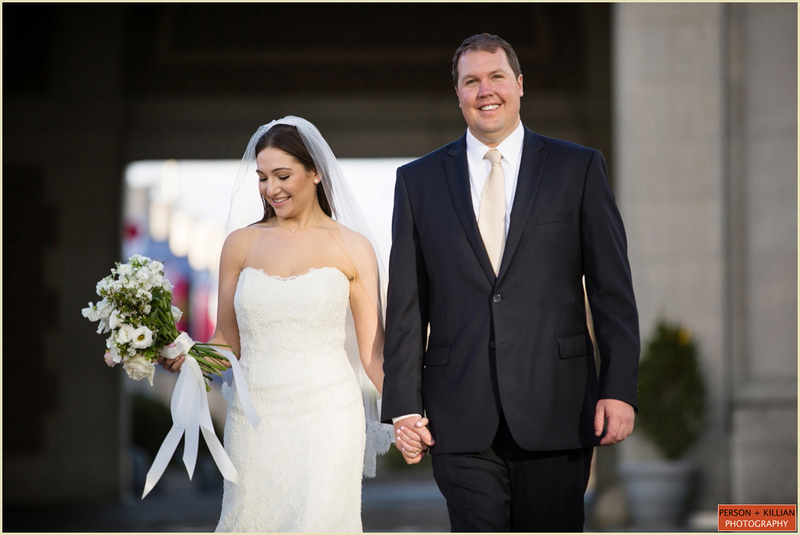 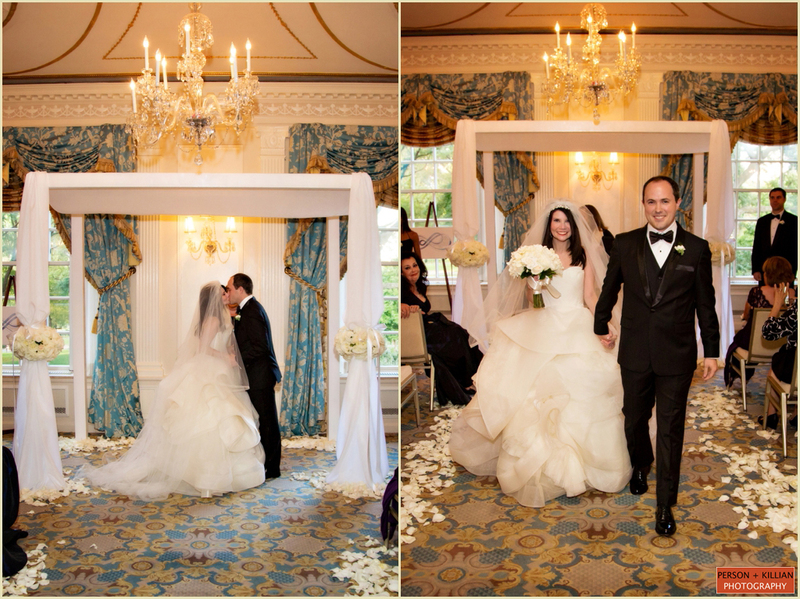 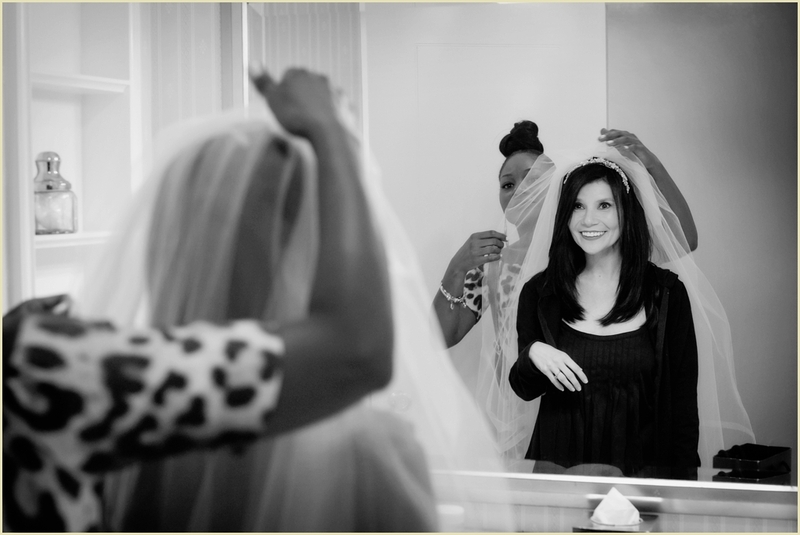 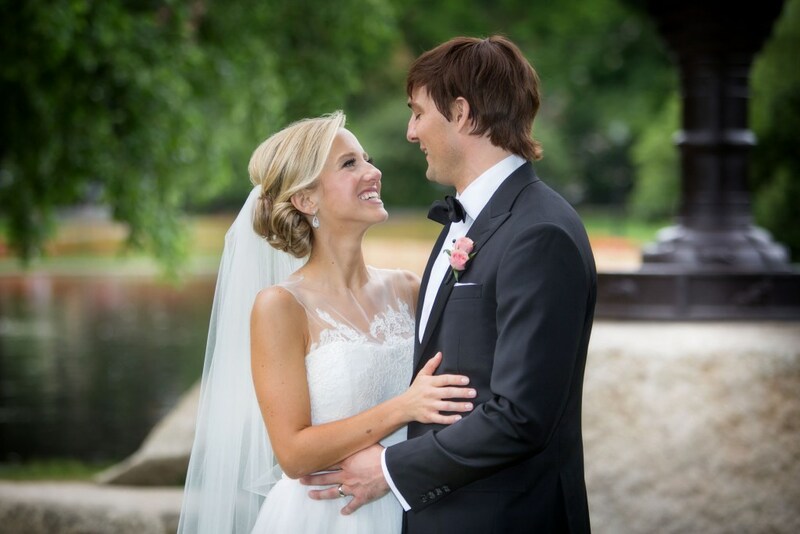 Tara’s dress was a Vera Wang ballgown with a veil that framed the bride perfectly. 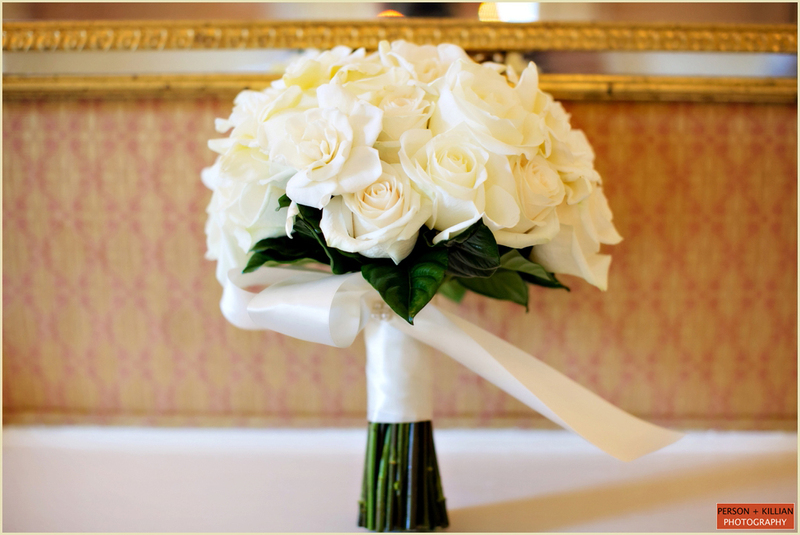 Never one to disappoint, Winston Flowers created classic bouquets for the ladies to carry with white and cream flowers that felt timeless and lush. 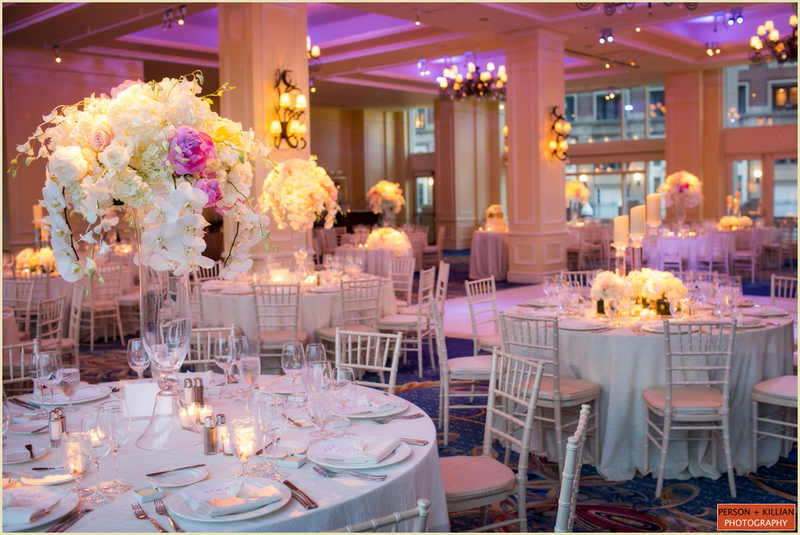 The couple selected the Main Dining Room at the Taj for its stunning grandeur melded with refined intimacy. 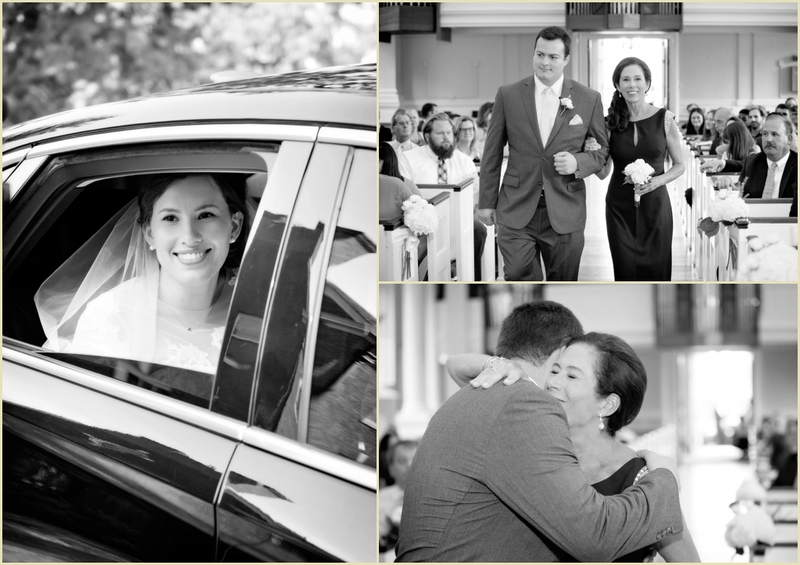 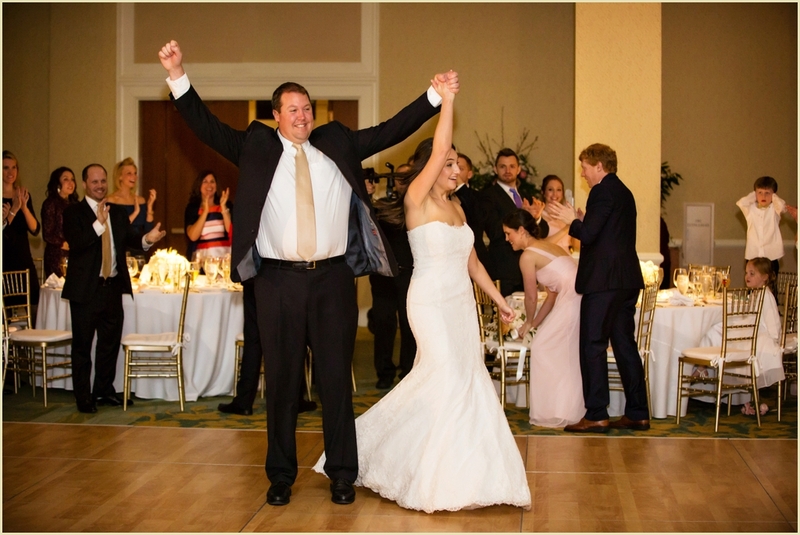 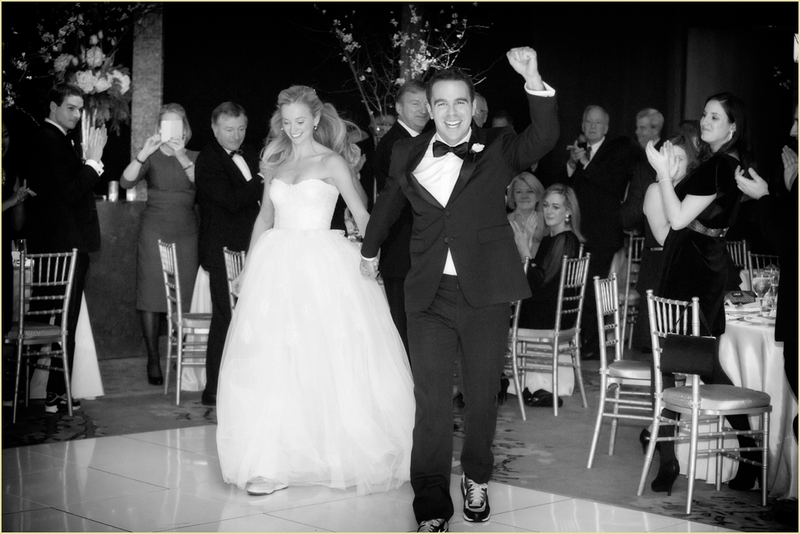 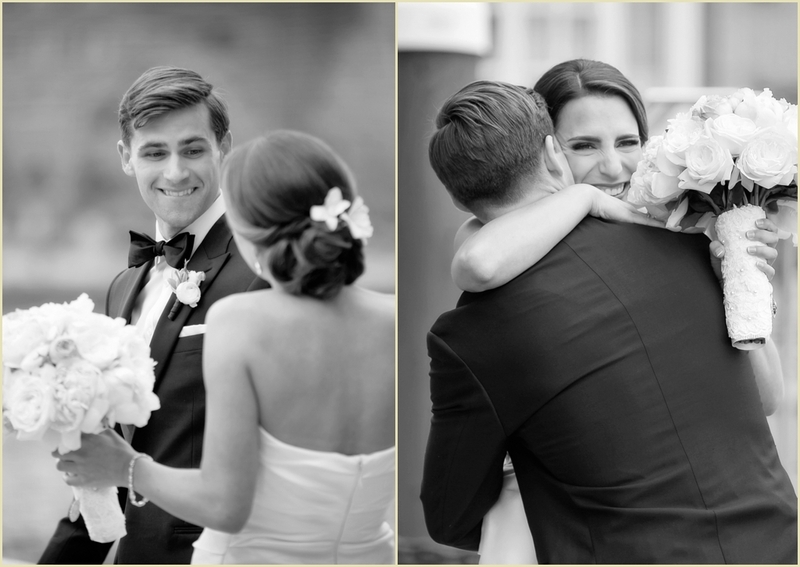 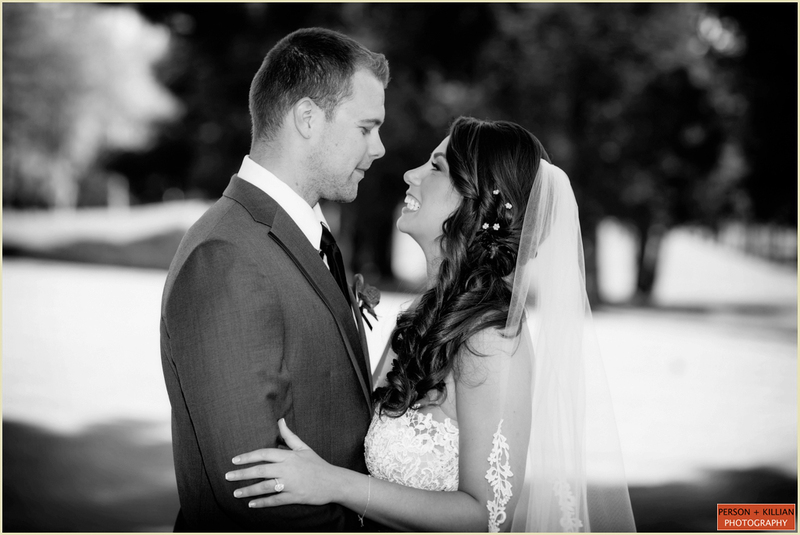 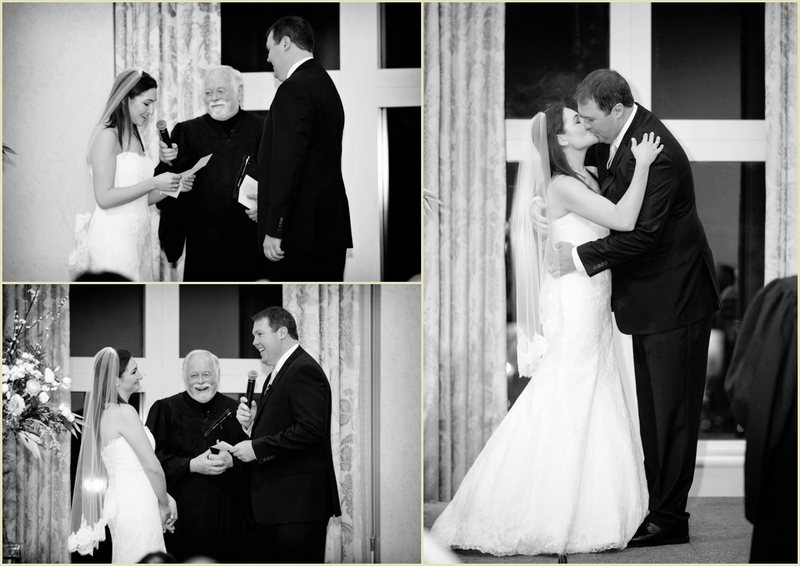 One of the bride’s favorite memories is the look on Steve’s face when she began walking down the aisle. 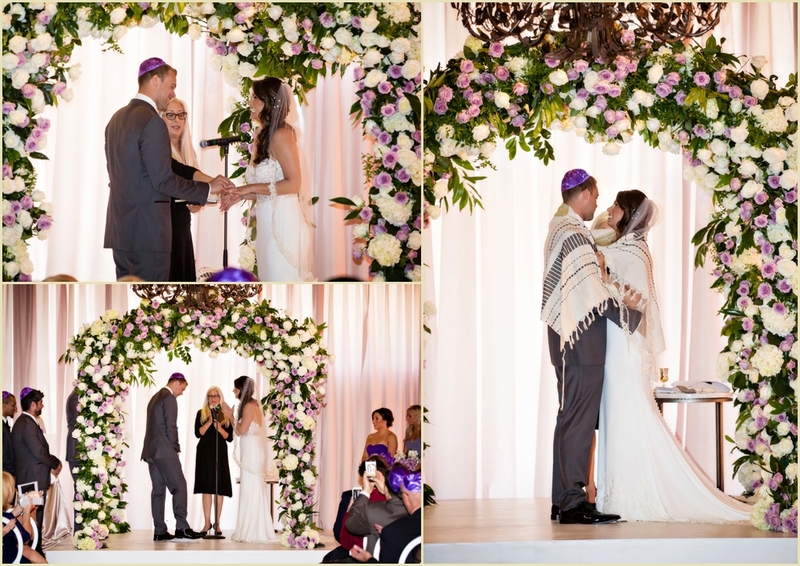 They wed under a chuppah surrounded by their nearest and dearest where they exchanged personalized vows. 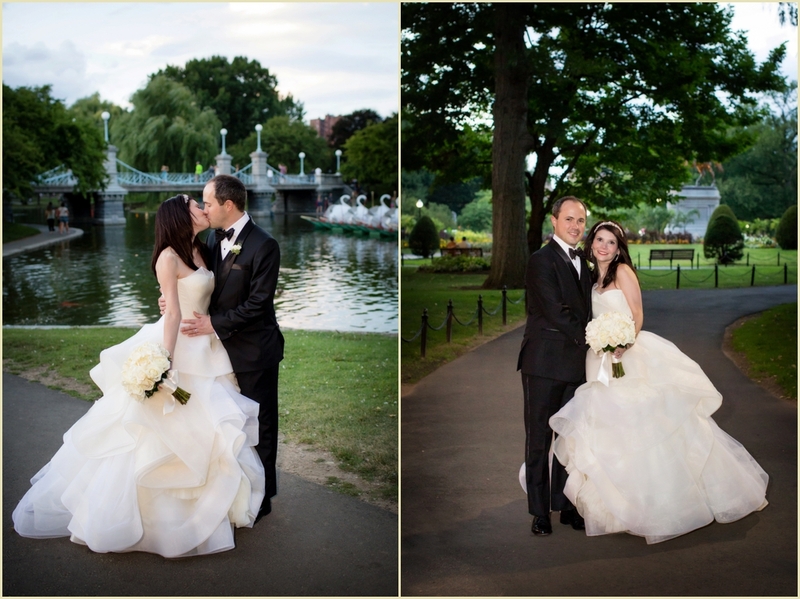 After the ceremony, we headed over to the Boston Public Garden to capture some fun bridal party shots while the guests enjoyed cocktail hour. 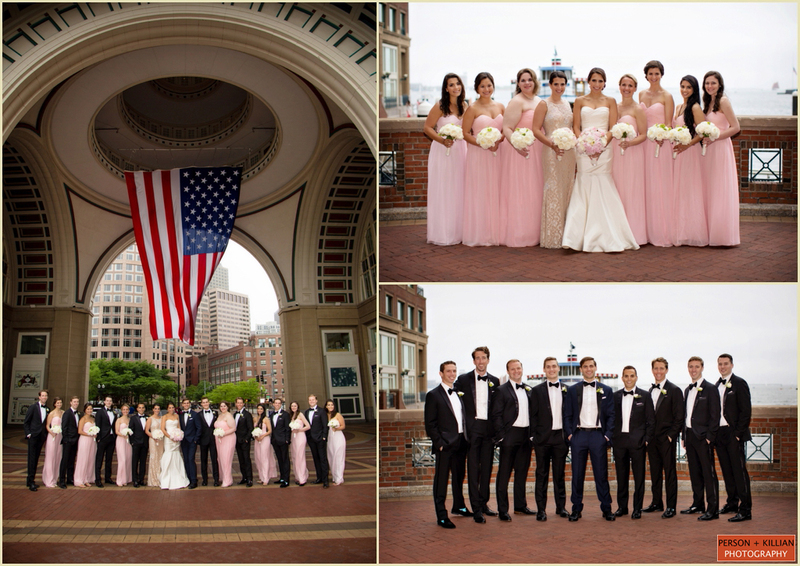 We absolutely adore capturing these candids as the bridal party walked through the streets of Boston – between the ear to ear smiles and the stunning backdrops – we can’t shoot enough great shots! 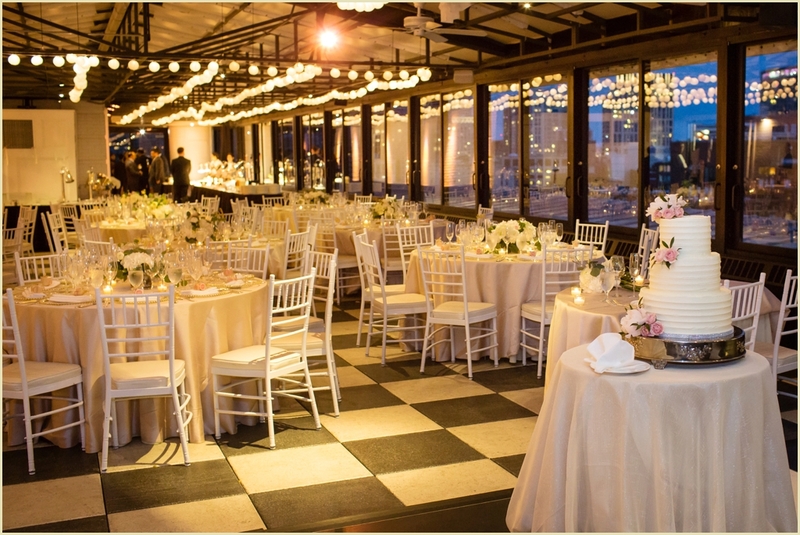 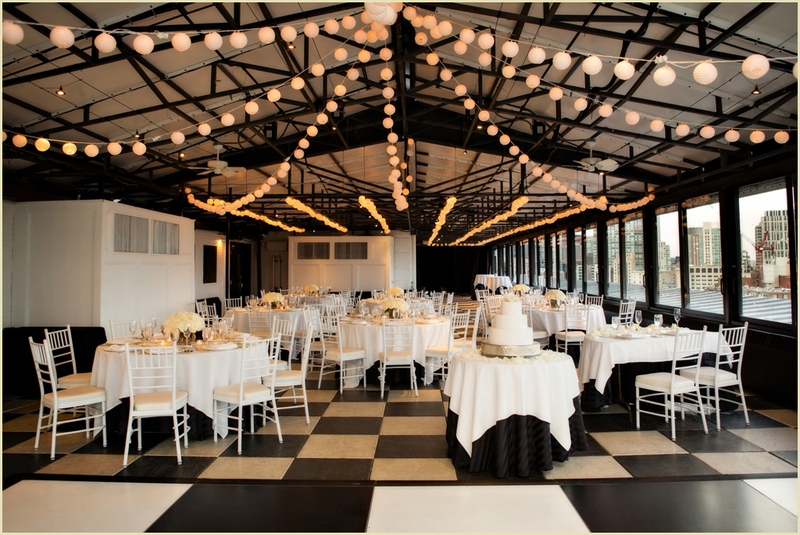 The Rooftop at the Taj offers everything they were looking for in a reception location – expansive city views, modern & chic decor – the perfect mix of black tie sophistication. 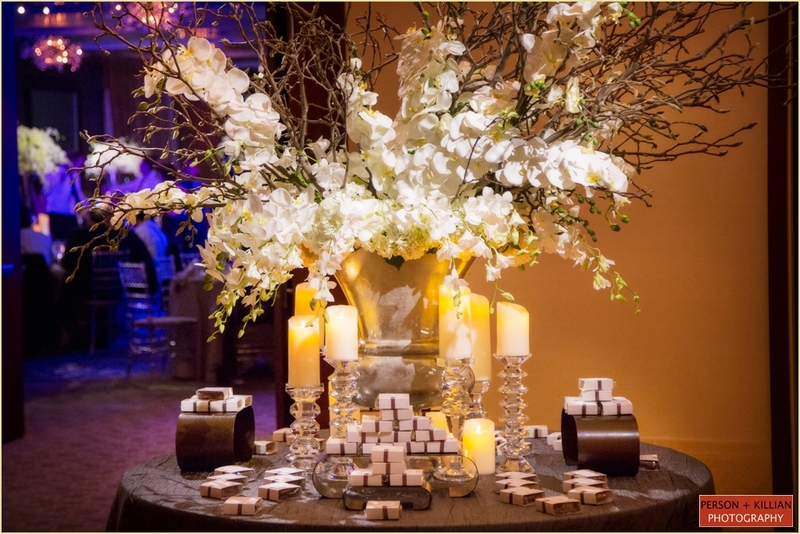 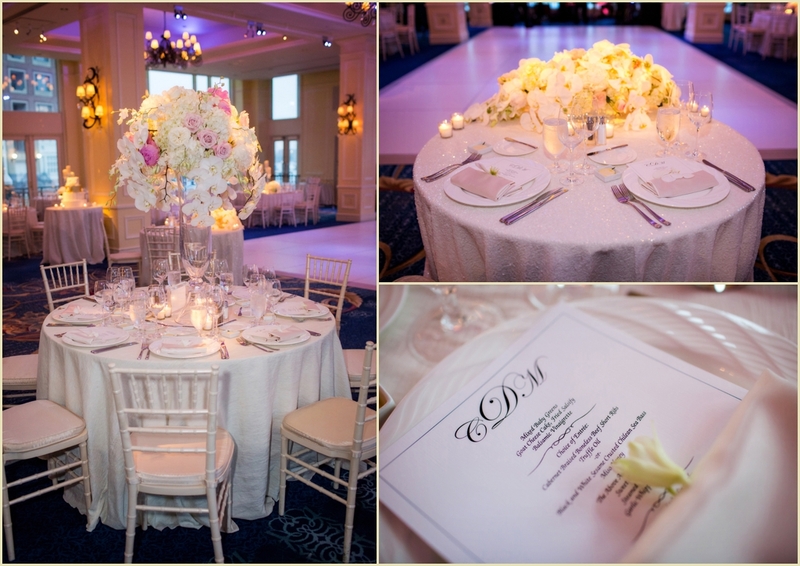 The setting was complemented nicely with classic centerpieces of white roses and floor-length linens. 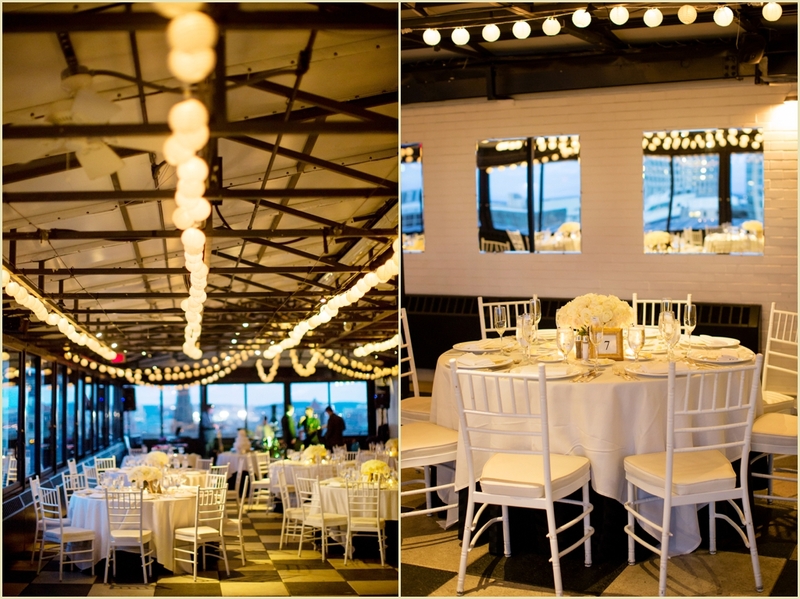 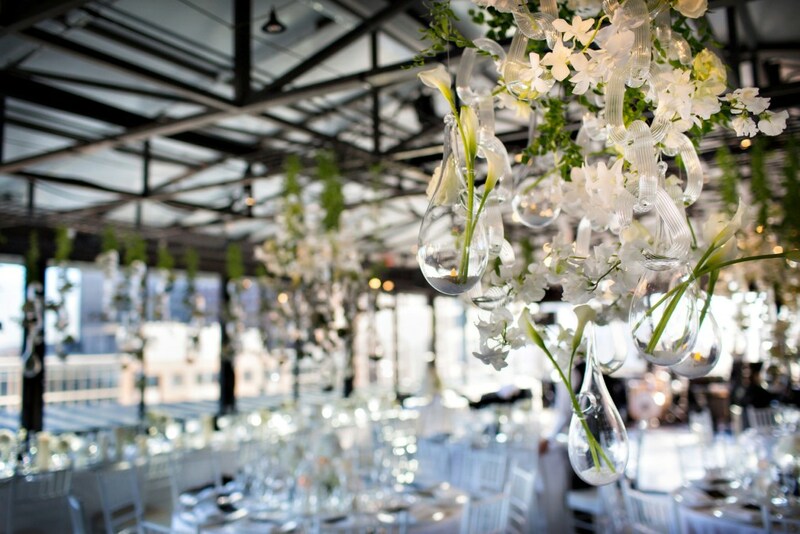 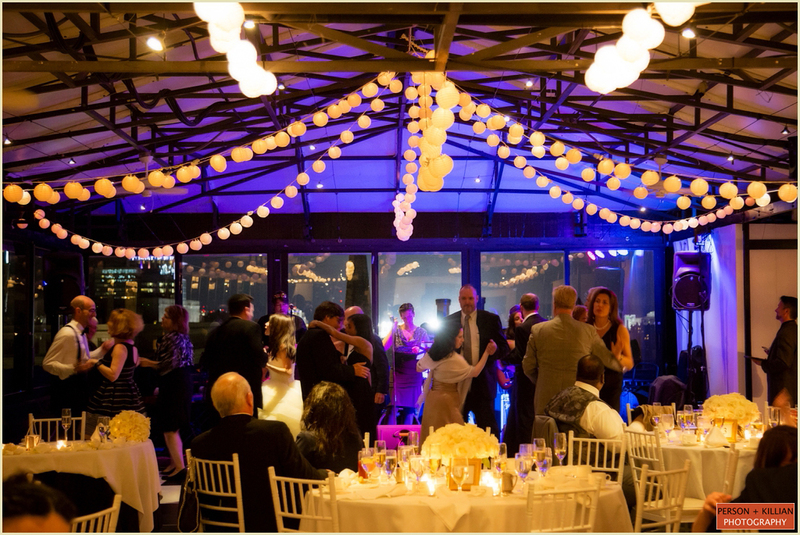 Mini-lanterns lined the ceiling giving everything a romantic glow. 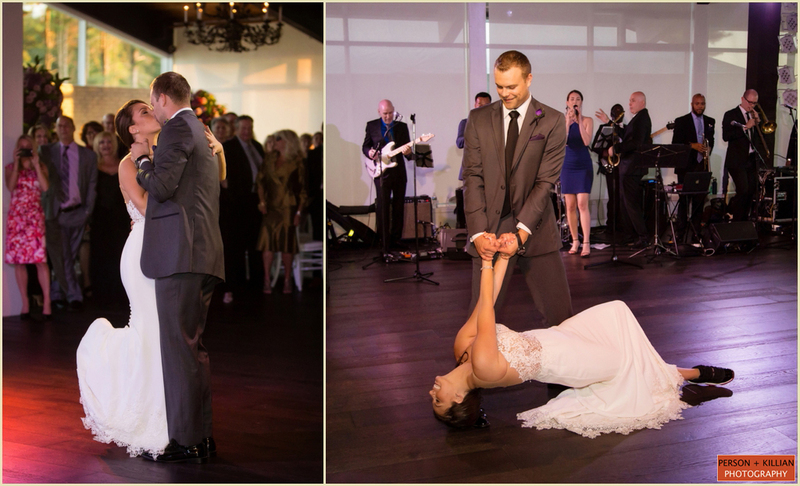 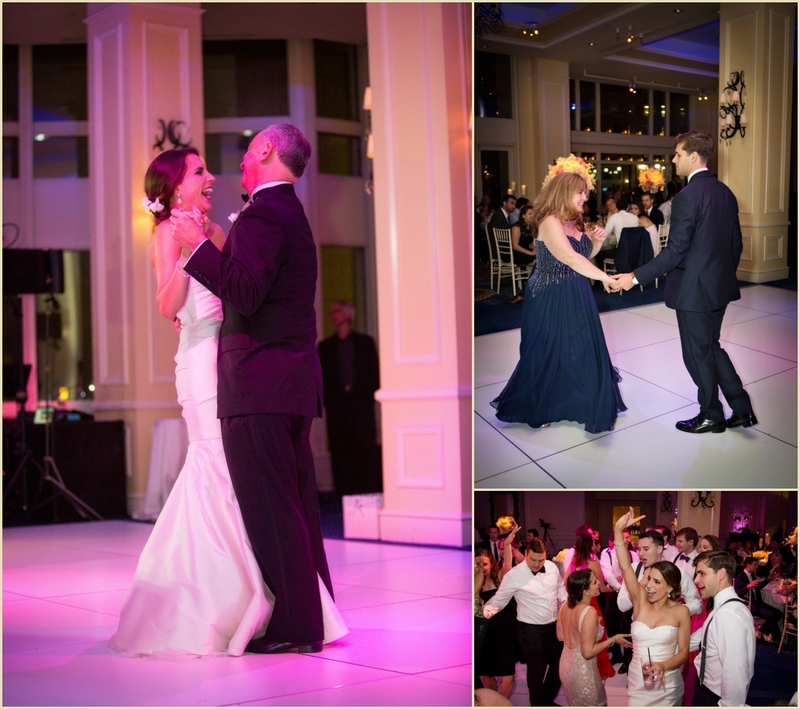 Guests packed the dance floor and partied the night away. 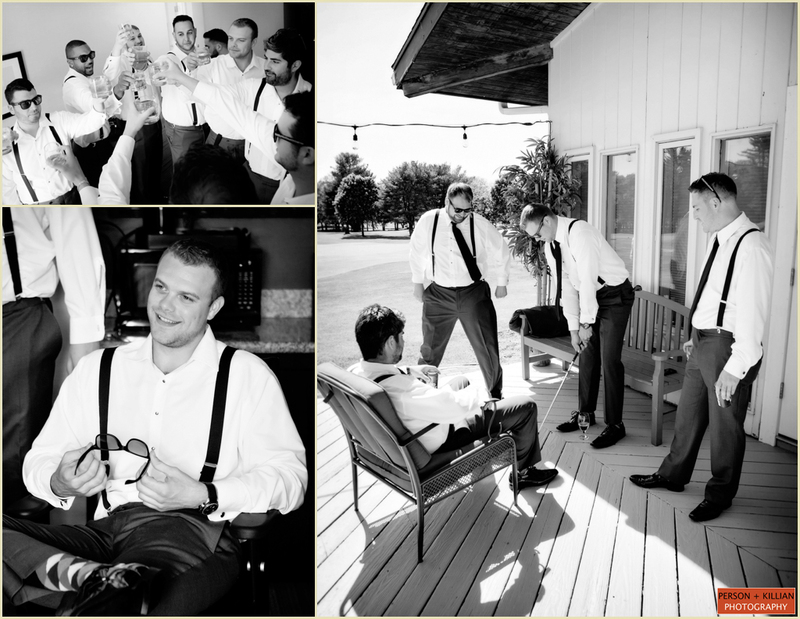 A good time was definitely had by all. 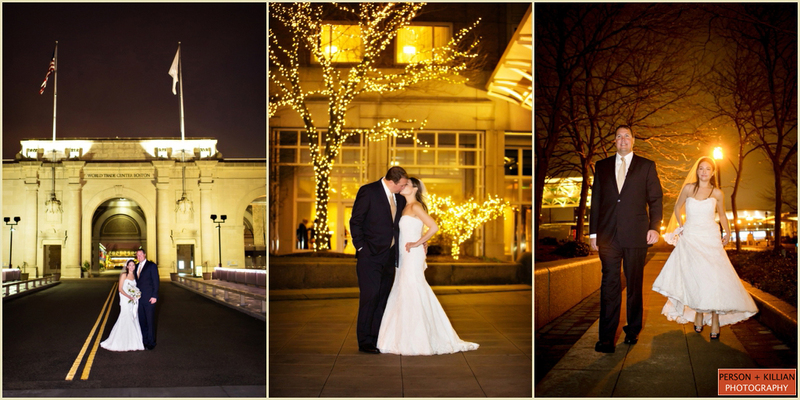 One of our favorite parts of the evening was the couple’s send off. 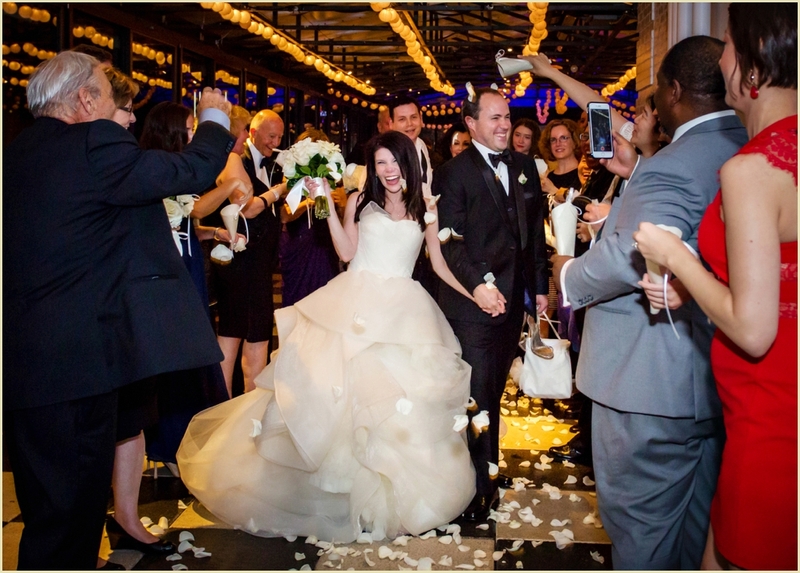 The guests gathered to toss white rose petals at the newlyweds as they departed. 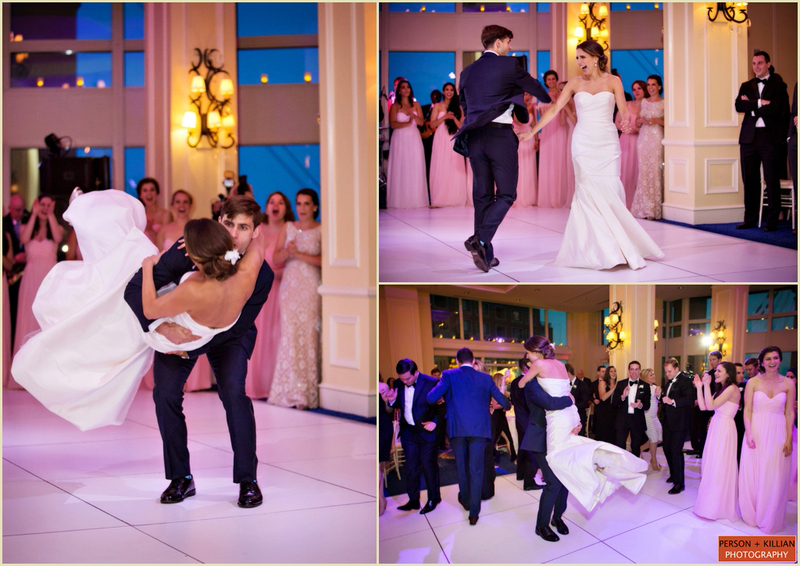 We agree with the bride – capping off the evening with that last bit of laughter, love, and happiness was a great way to end the night! 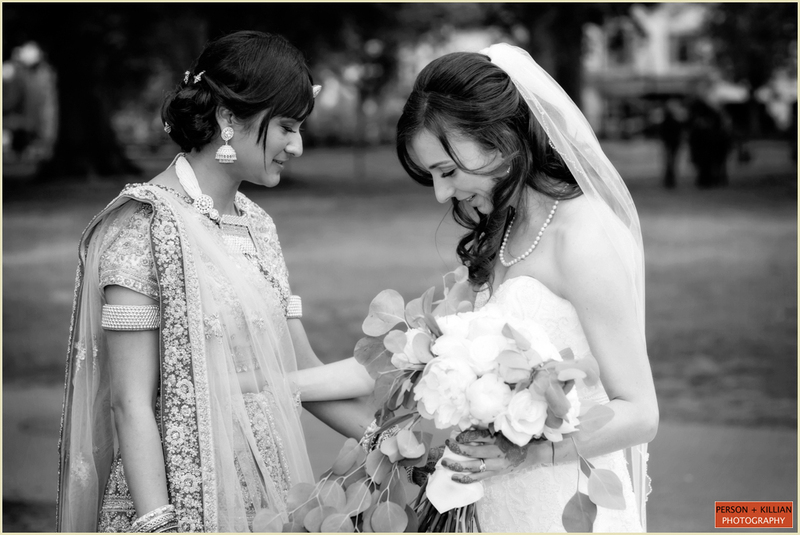 Working with the expert staff at the Taj is always great – we can’t thank them enough along with all the great vendors we had the pleasure of working with. 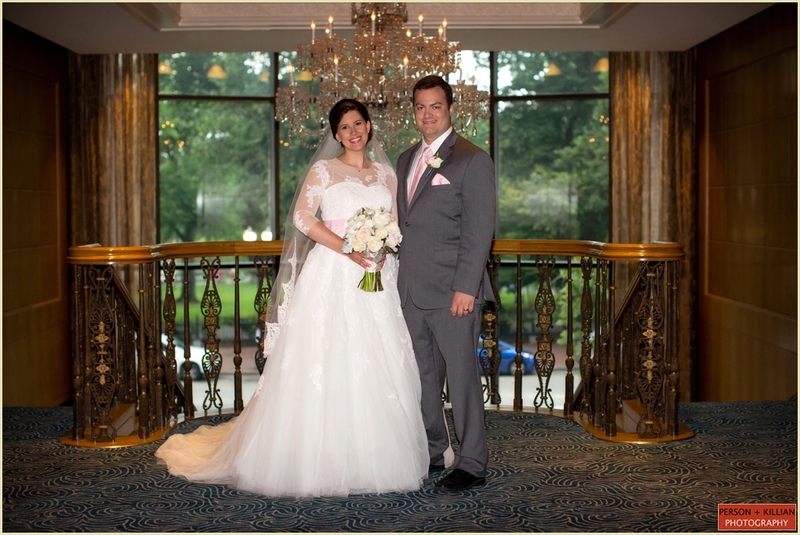 Congratulations again Tara and Steve! 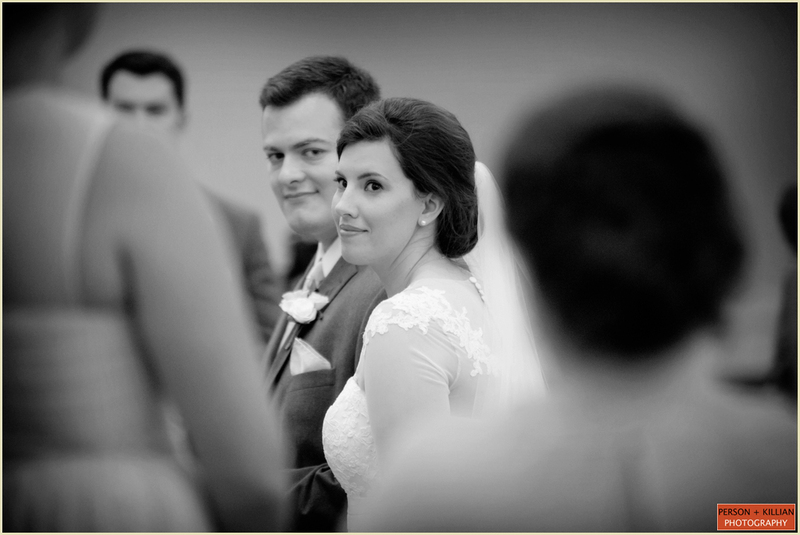 A heartfelt thank you for including Person + Killian on such a significant day – we thank you for letting us do what we love and are honored to be a part of it. 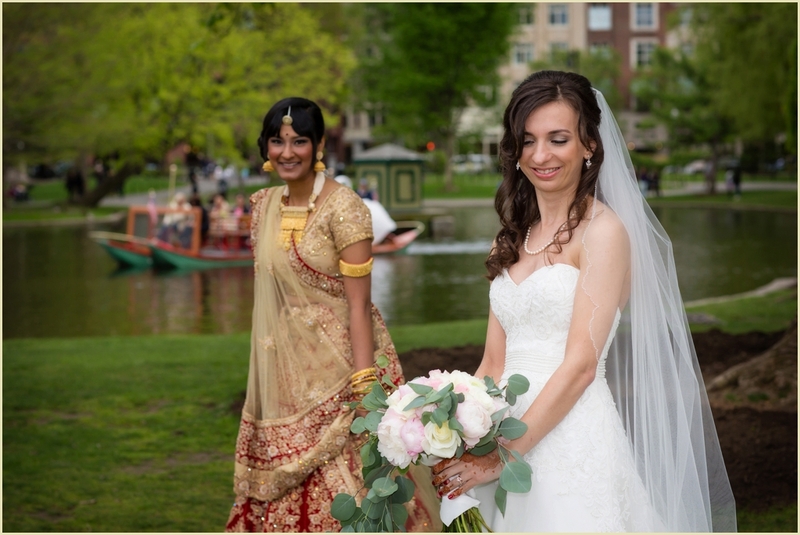 This is filed under Summer Boston Wedding at the Taj Boston. 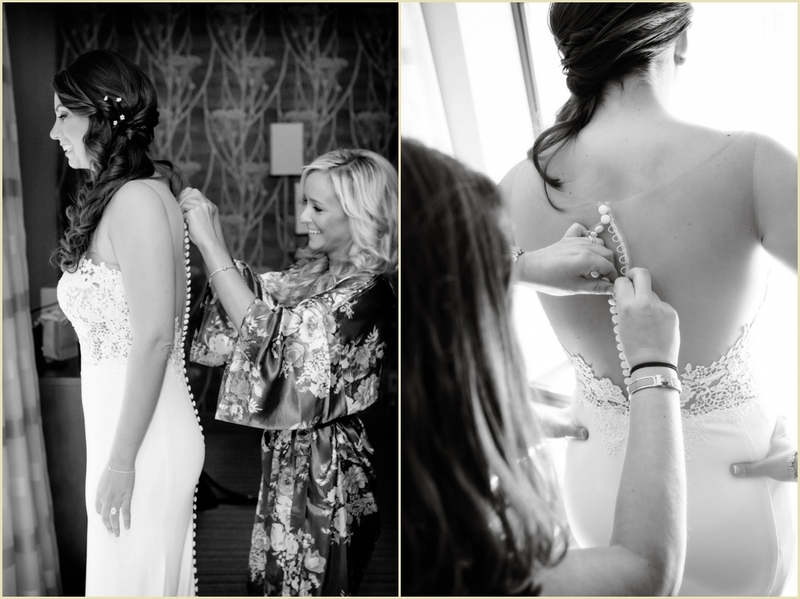 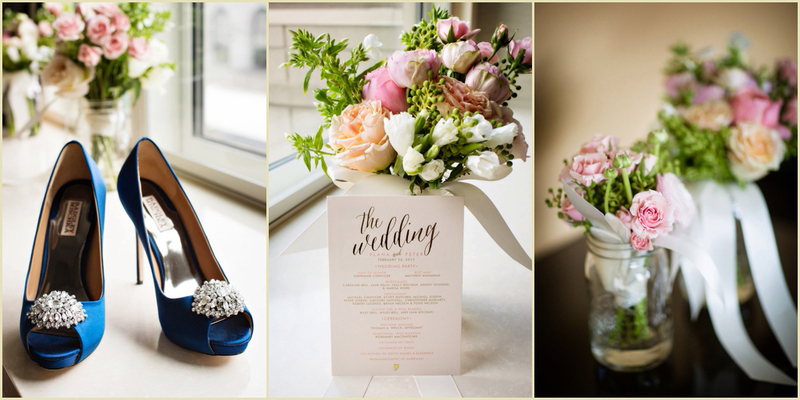 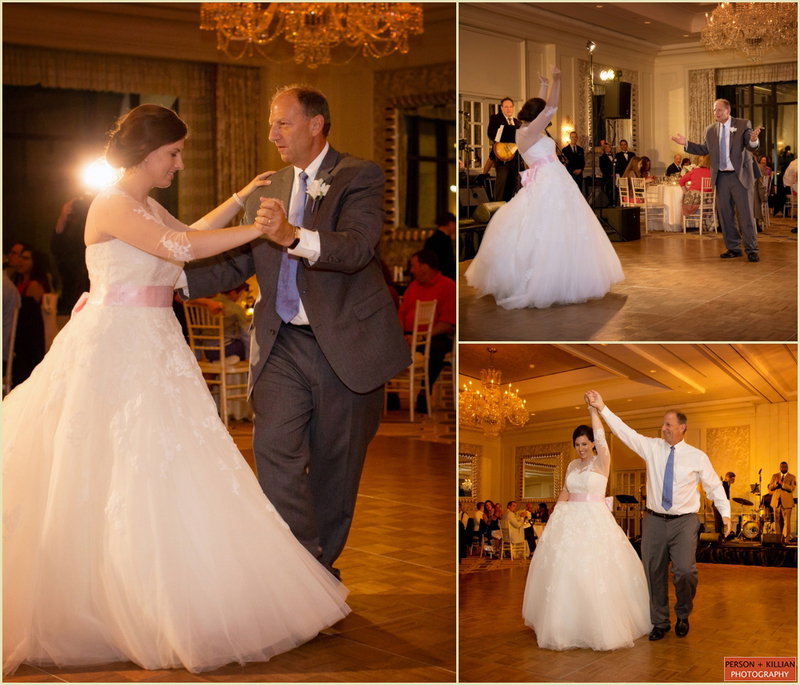 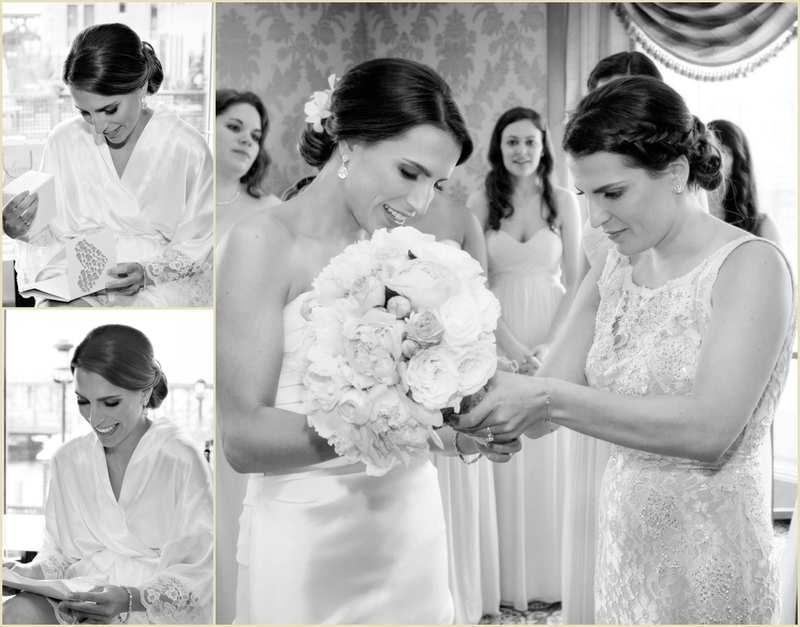 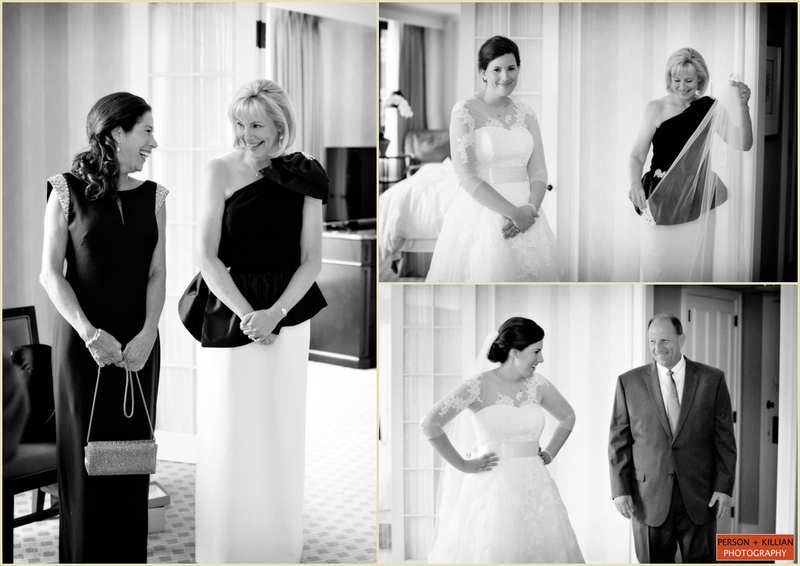 The Taj Boston Wedding of Tara and Steve was photographed by Person + Killian Photography. 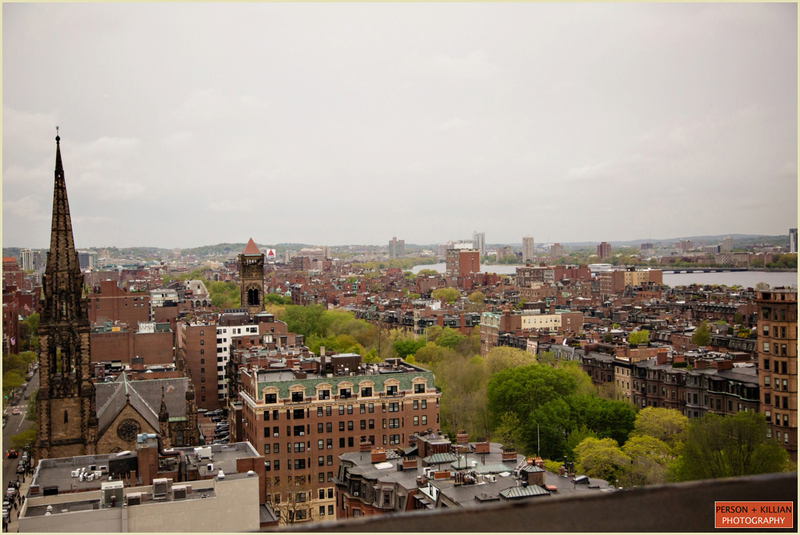 Jill Person and Laurén Killian are available via email at [email protected] and [email protected] or by phone at 617.236.1662. 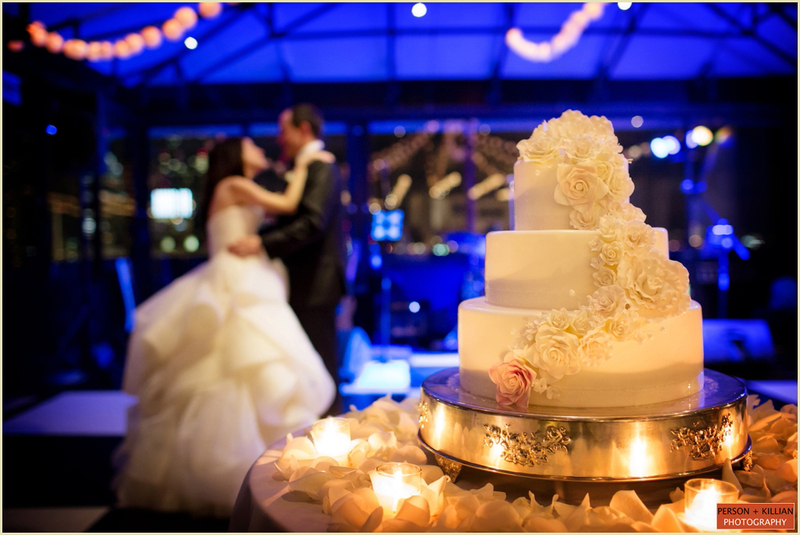 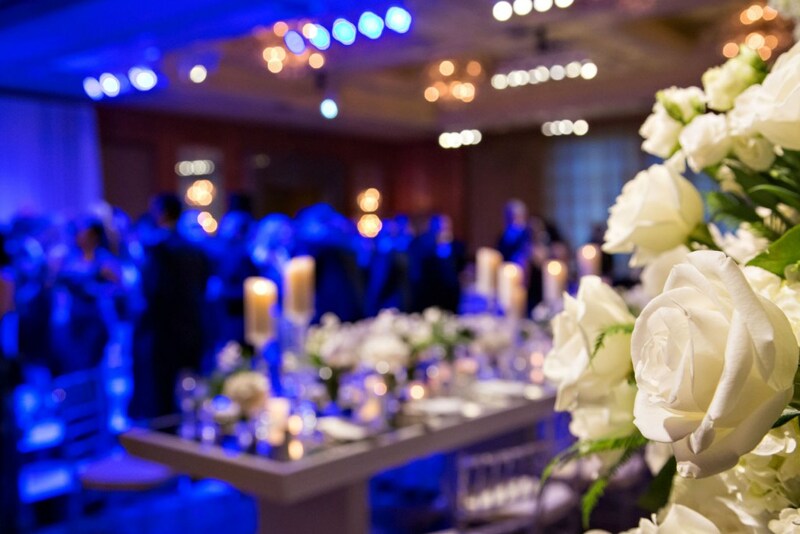 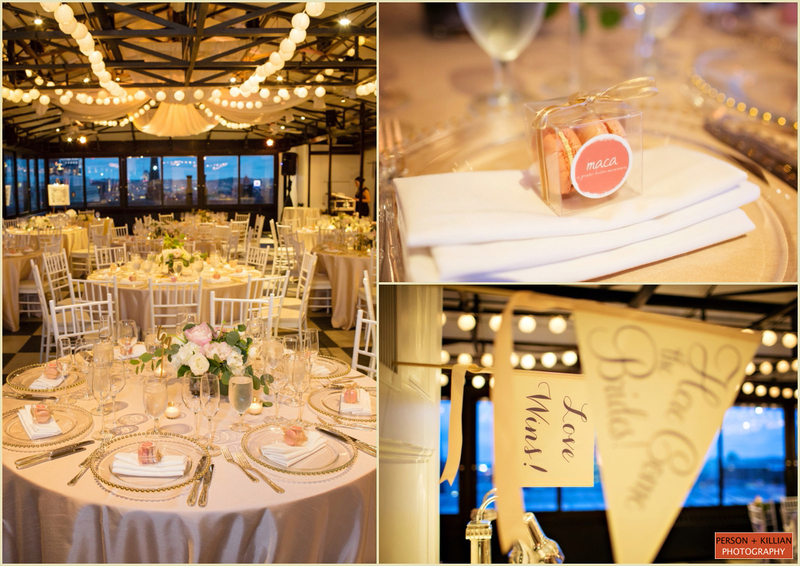 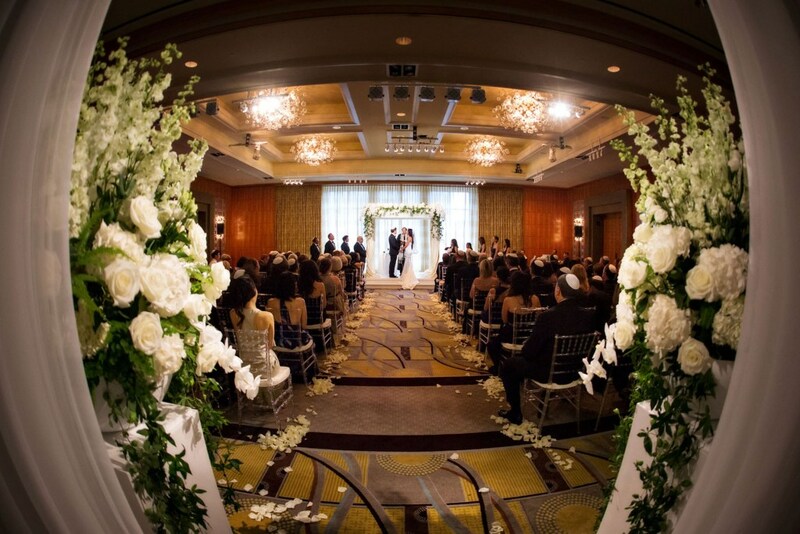 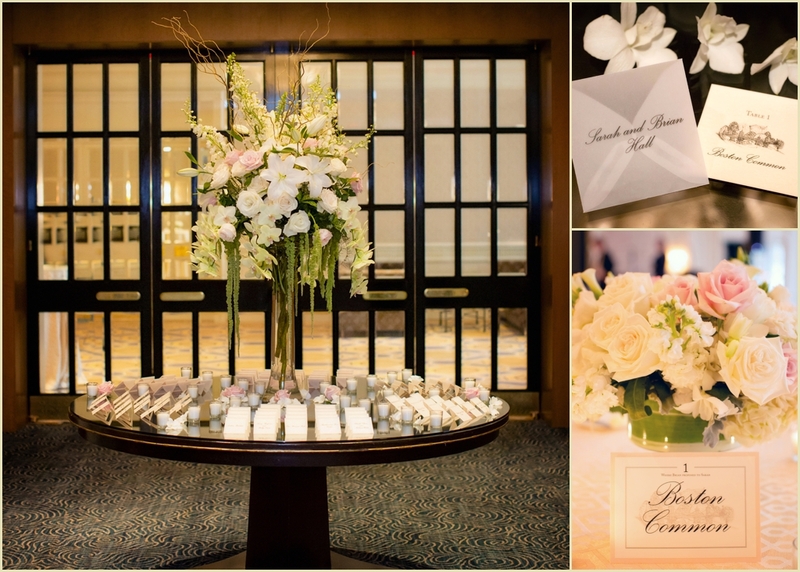 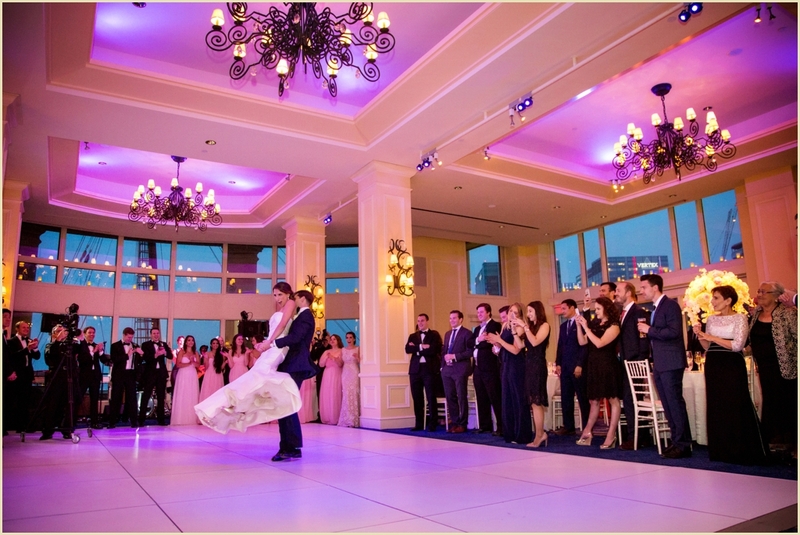 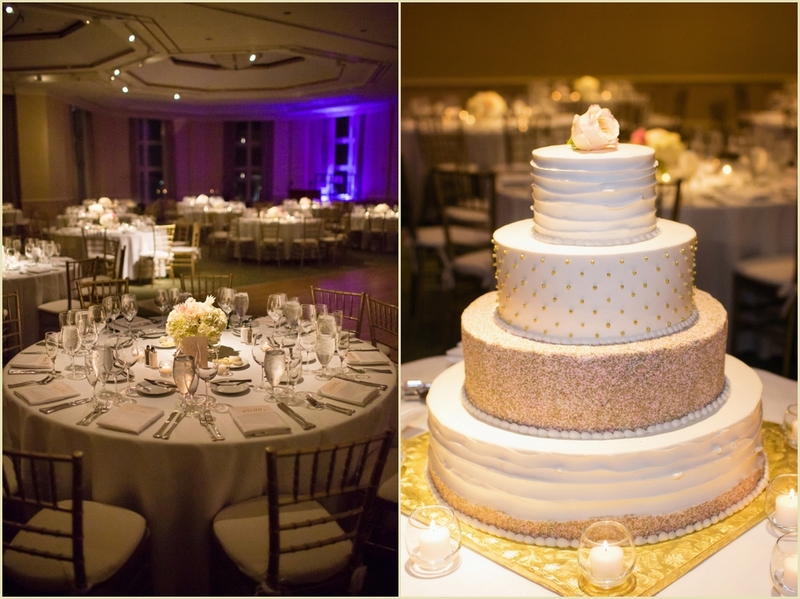 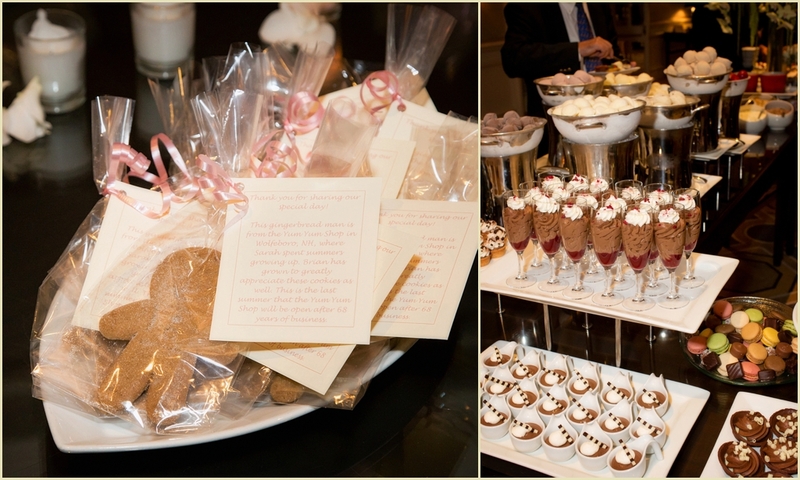 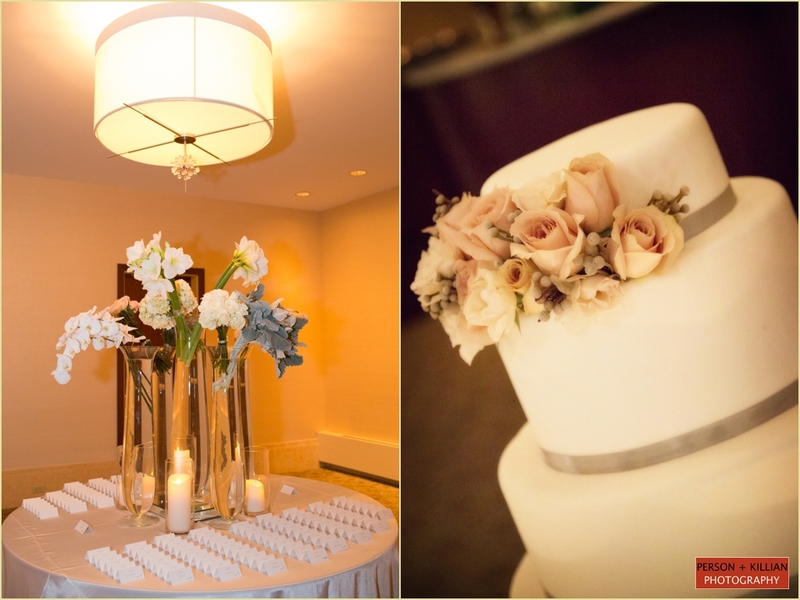 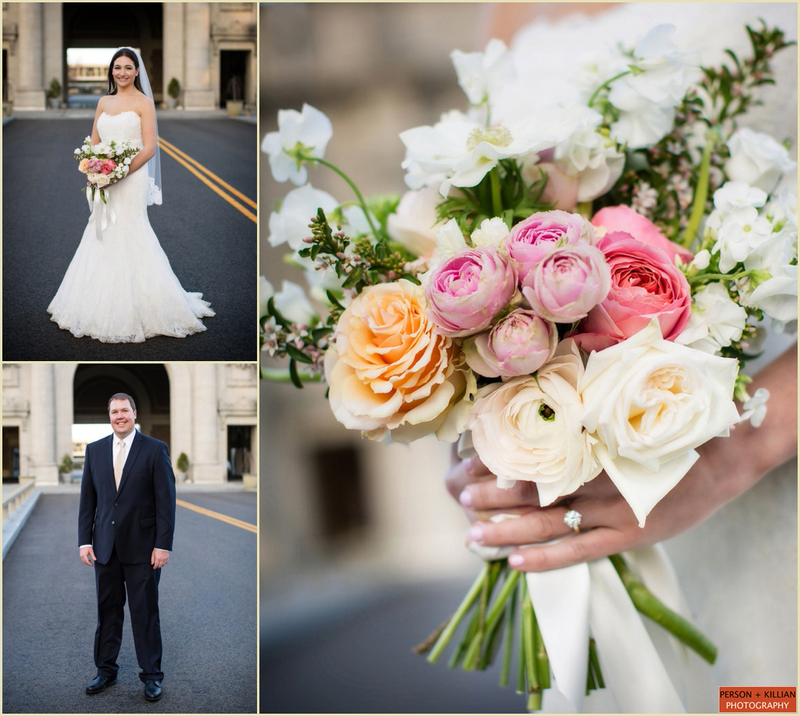 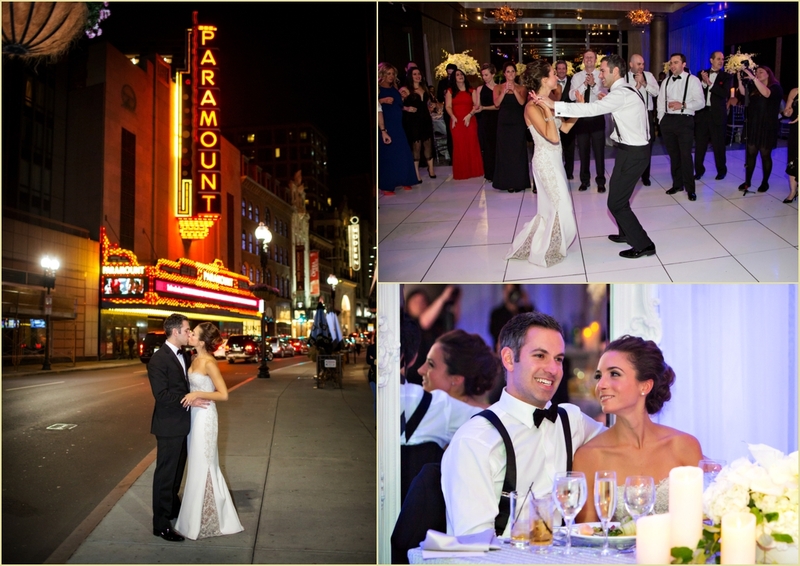 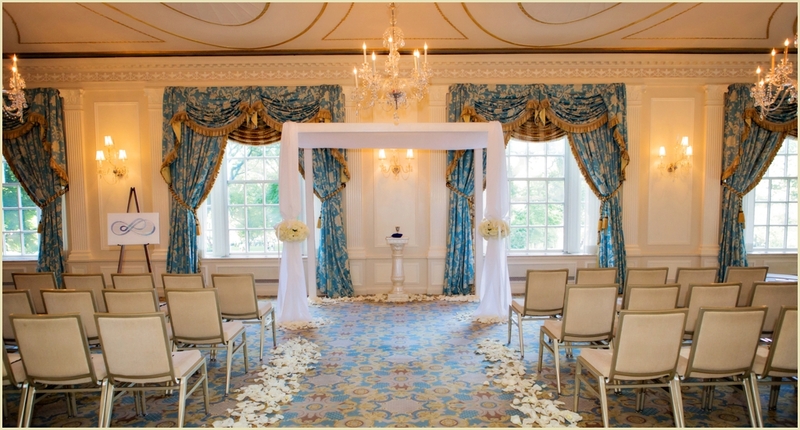 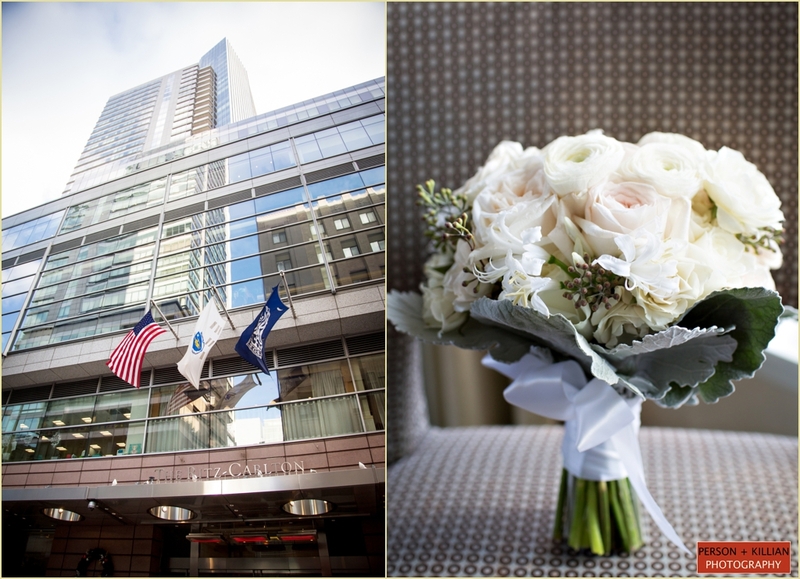 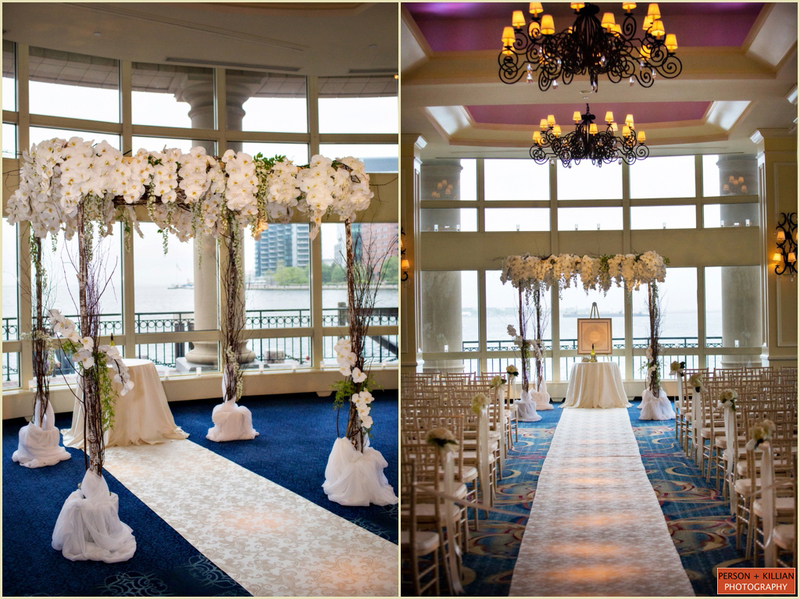 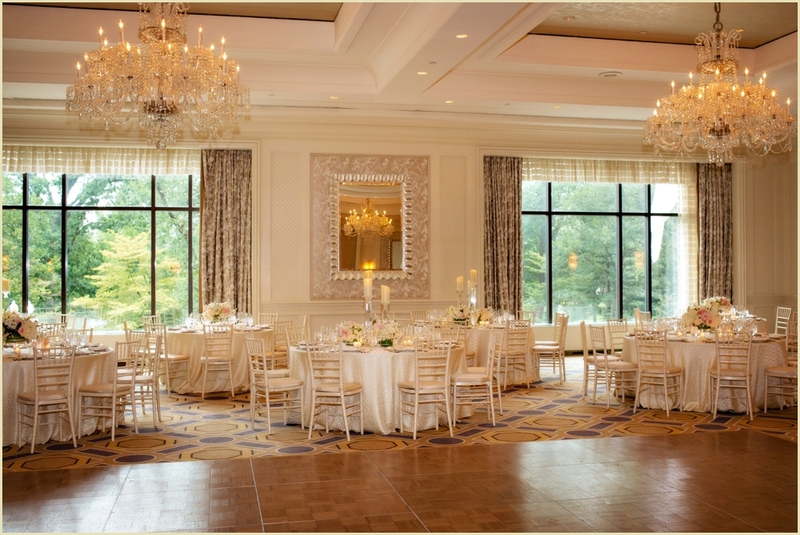 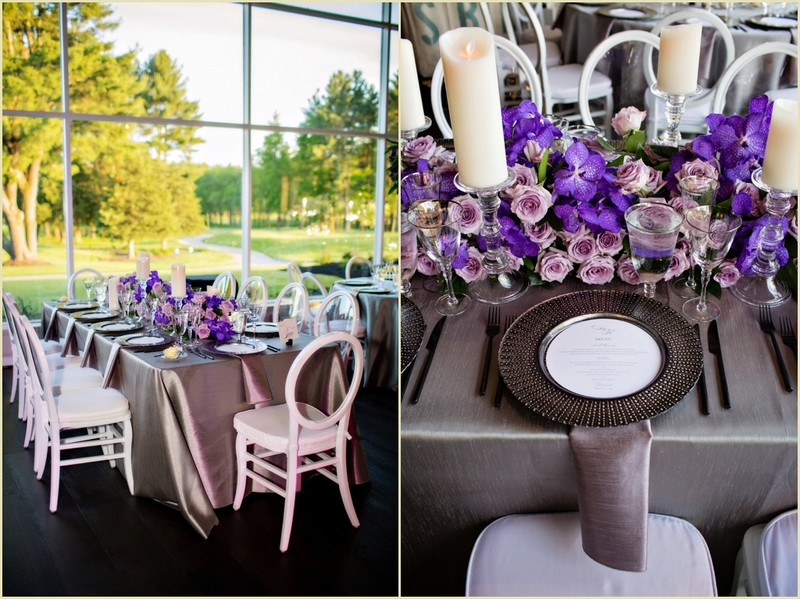 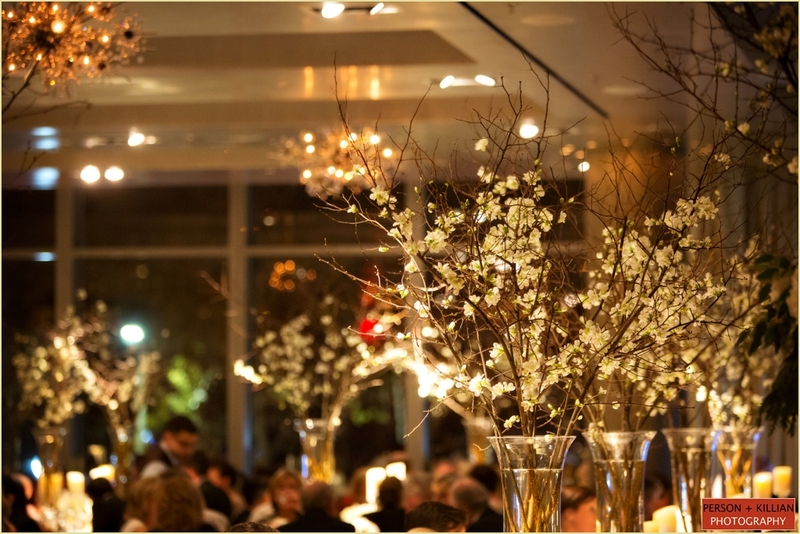 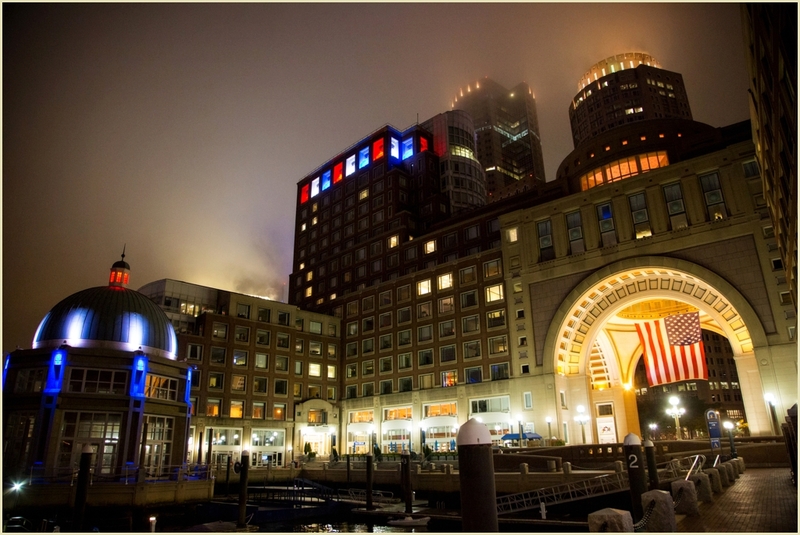 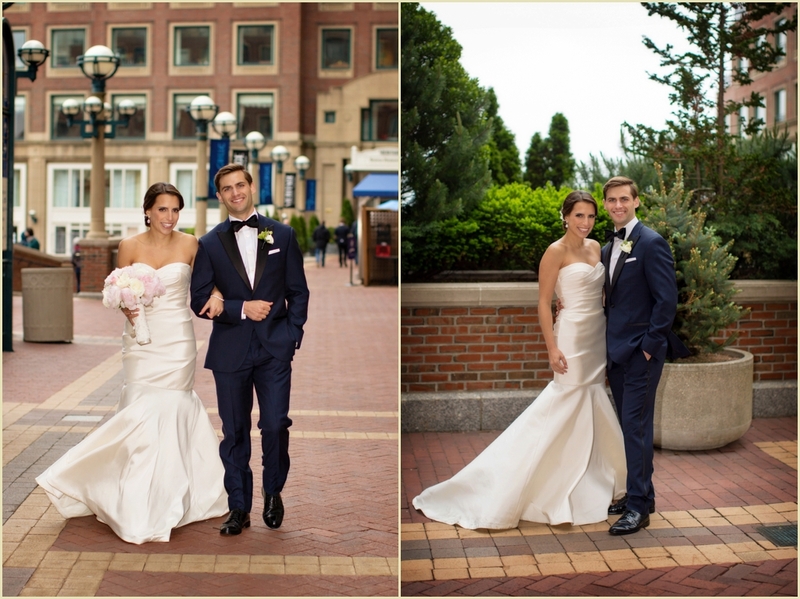 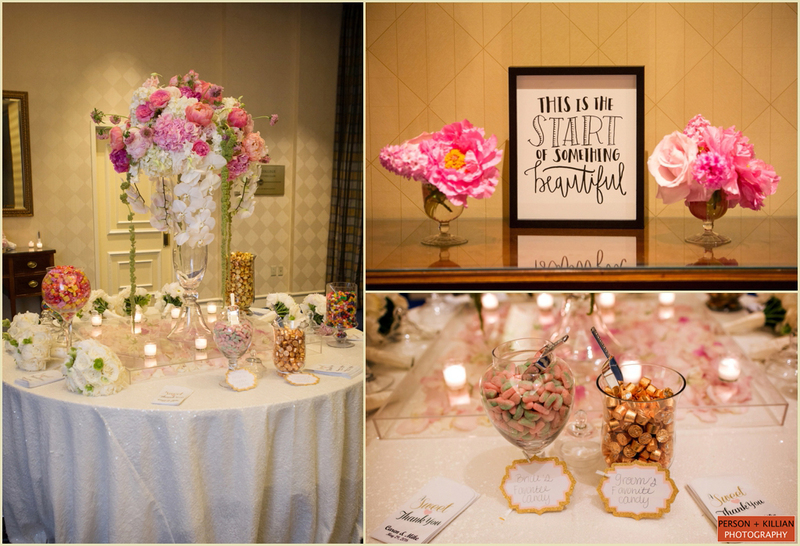 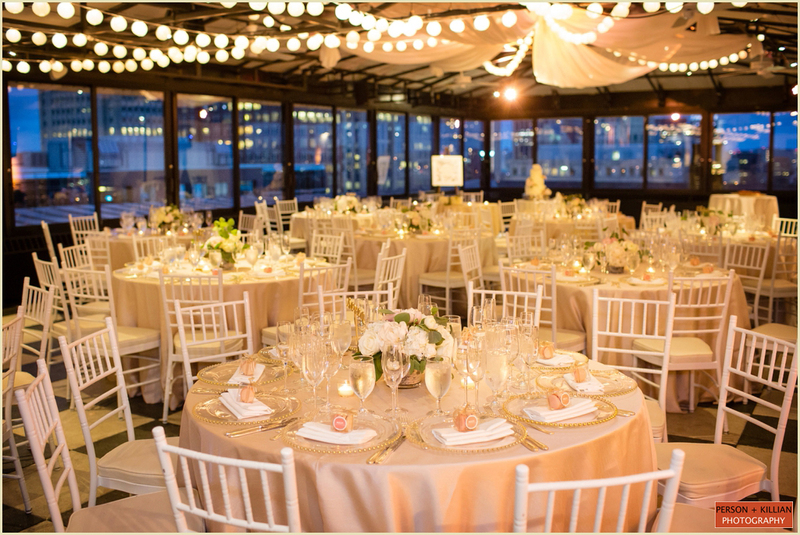 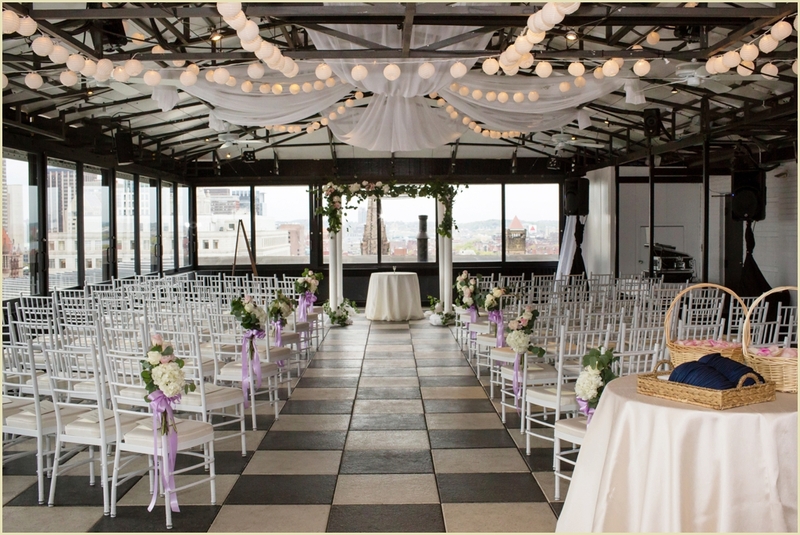 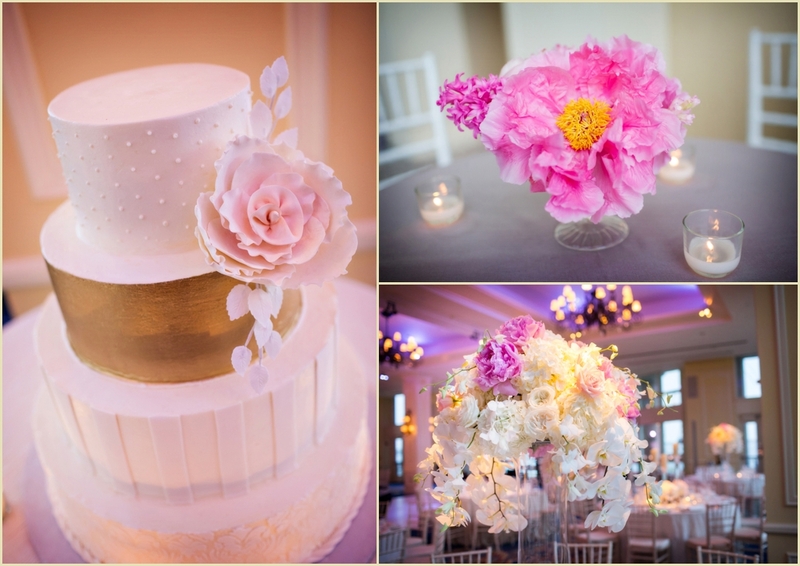 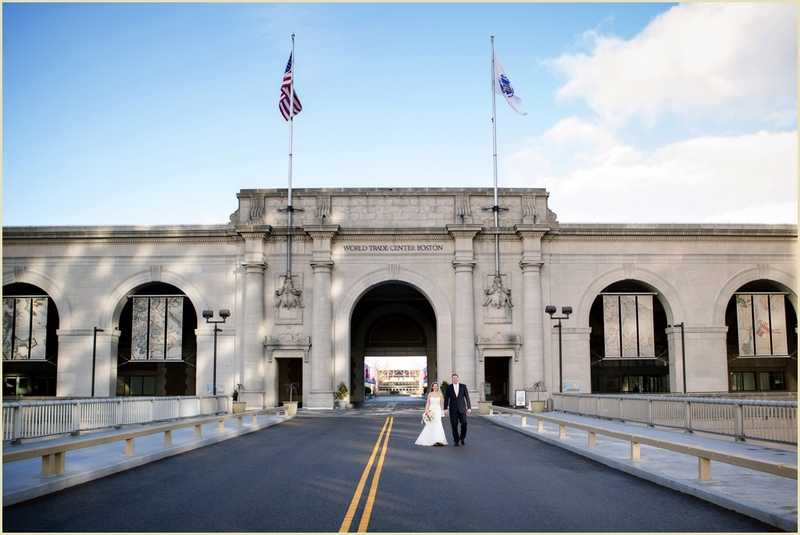 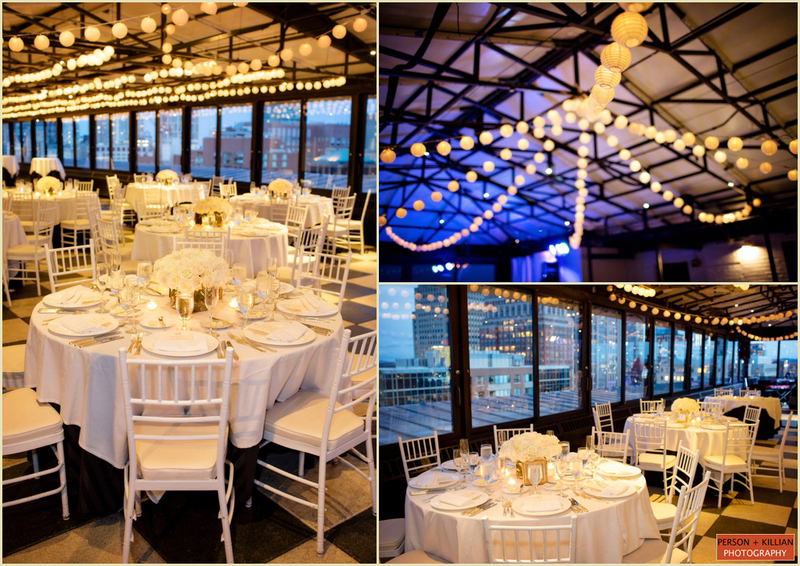 InterContinental Hotel Boston | 2016 Boston Venue Spotlight! 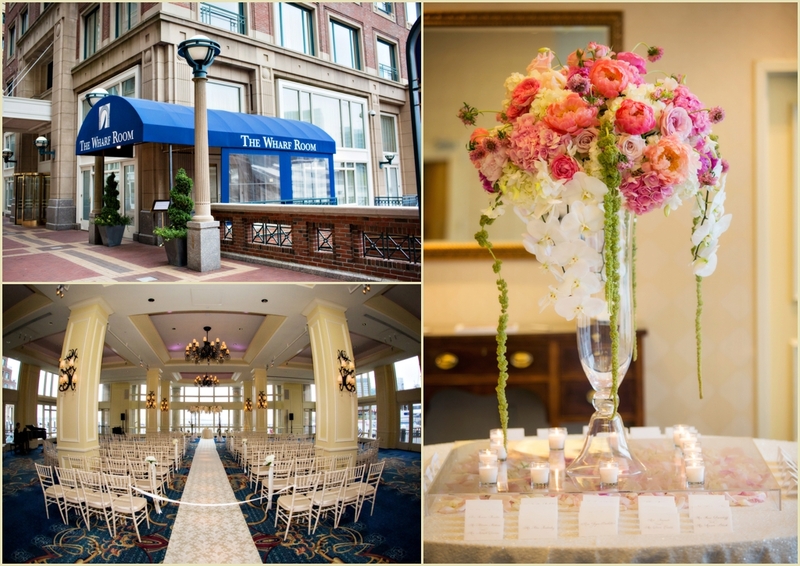 Sophisticated, chic, and a picture perfect location, the InterContinental Hotel Boston is the star of this week’s Boston Venue Spotlight! 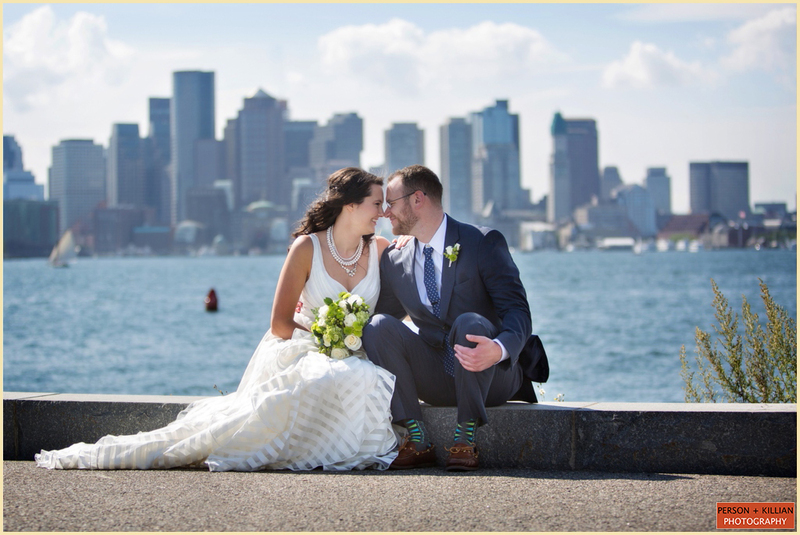 At the InterContinental Boston couples can opt for lush outdoor portraits on the Rose Kennedy Greenway or a magnificent cityscape scene from Atlantic Avenue. 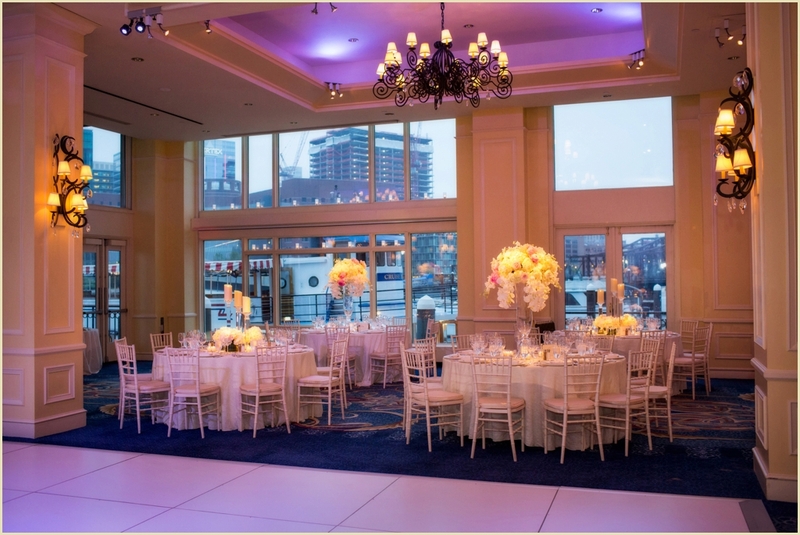 To top it all off, directly behind the InterContinental is a lovely outdoor waterfront promenade with views of the Boston Harbor. 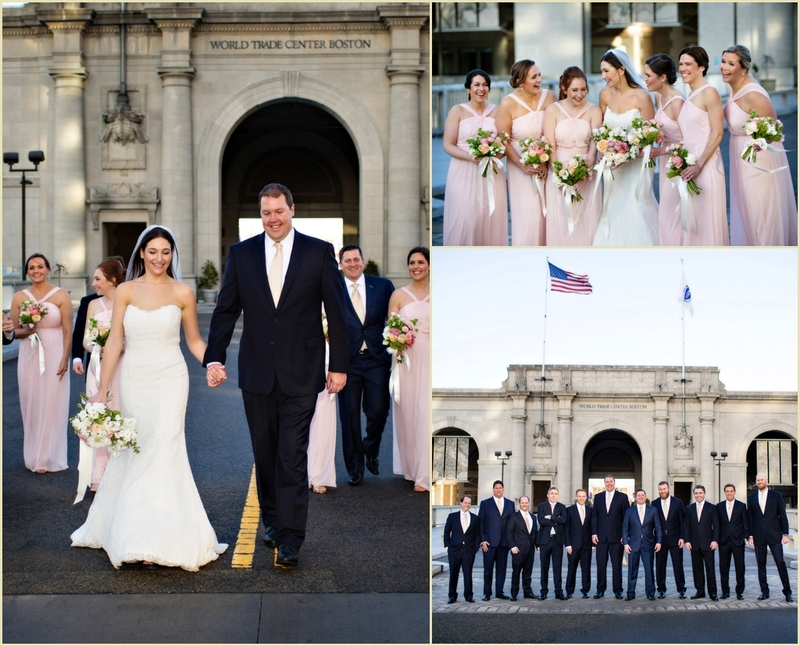 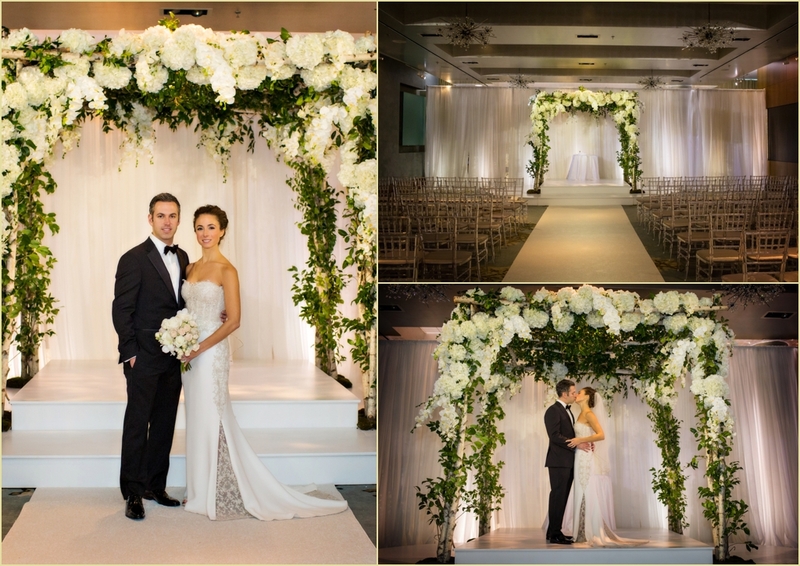 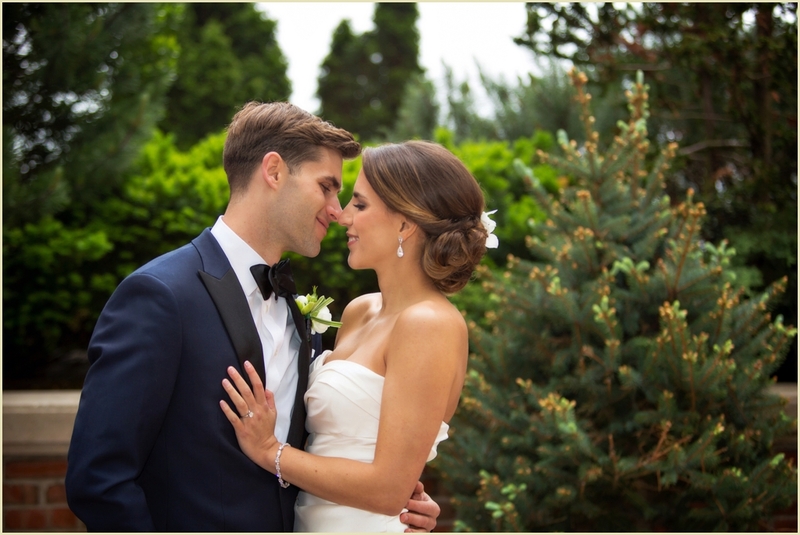 Take a look back at some of our 2015 InterContinental wedding photography featured below. 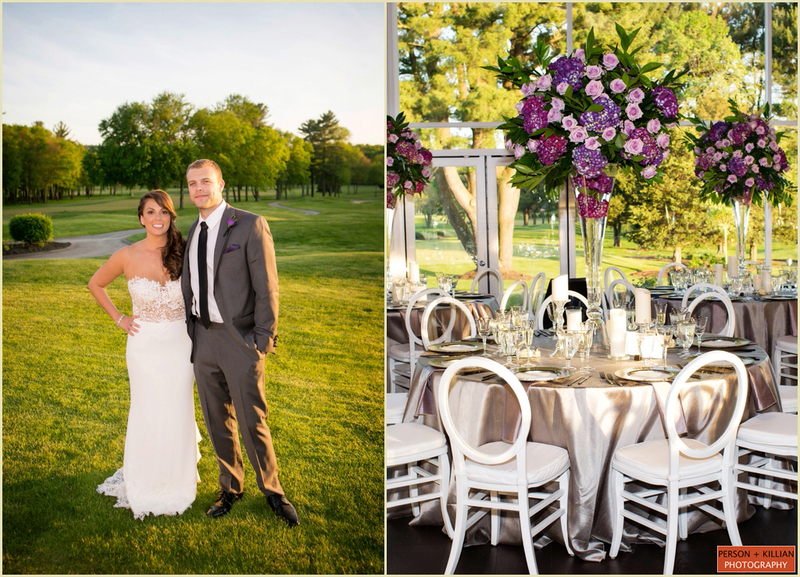 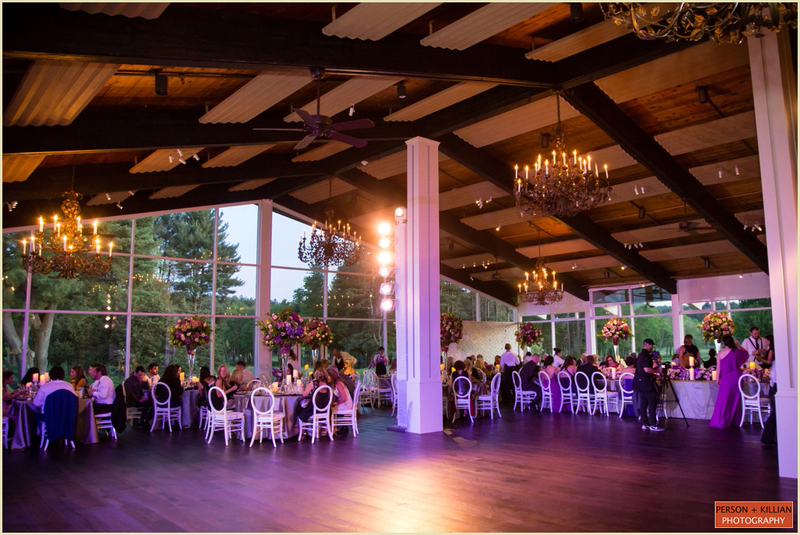 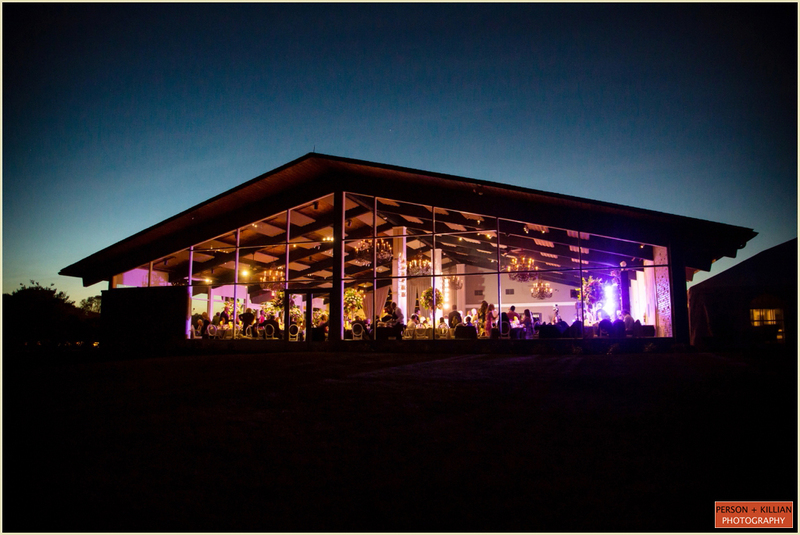 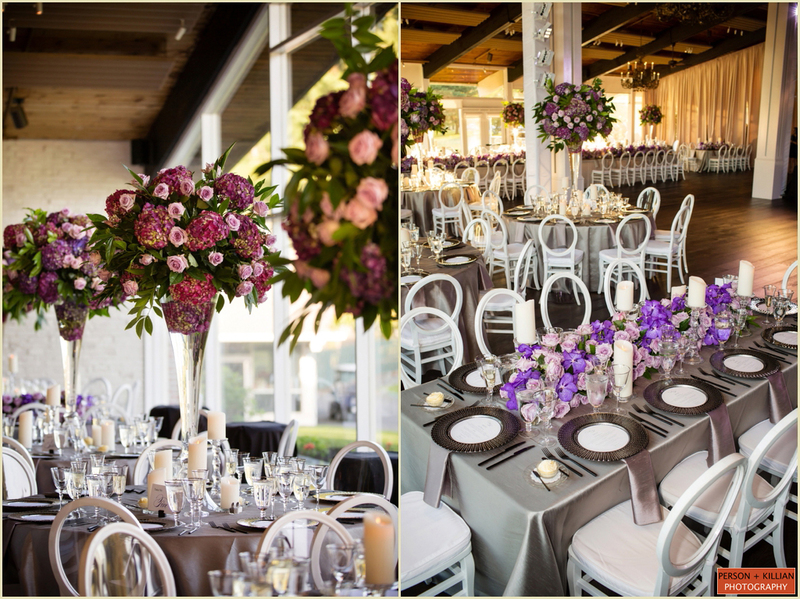 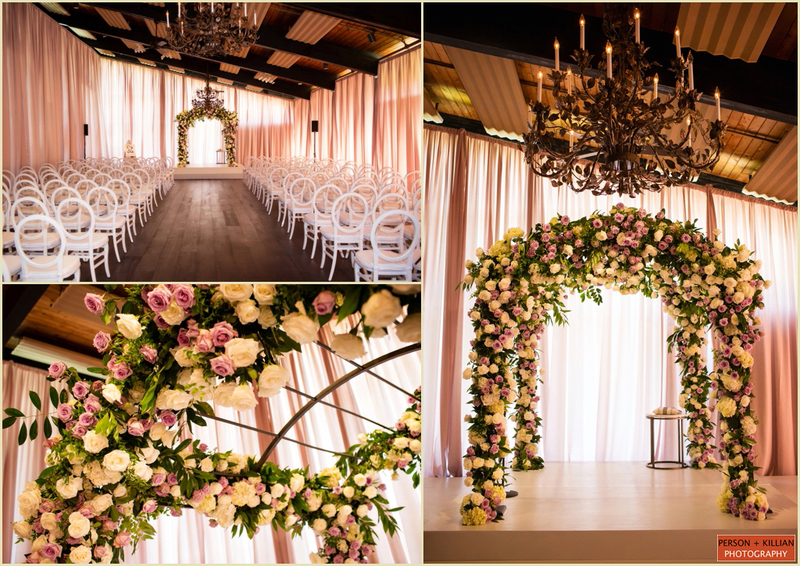 We look forward to being back for more beautiful weddings in 2016!